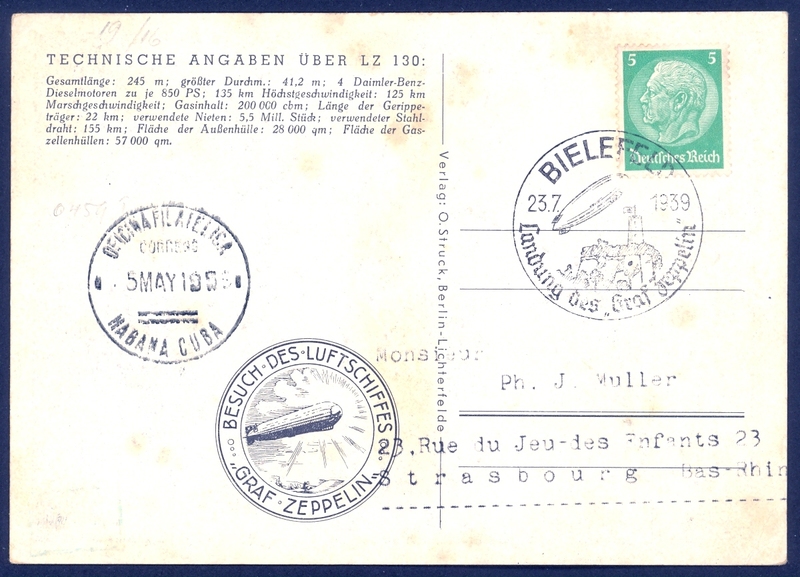 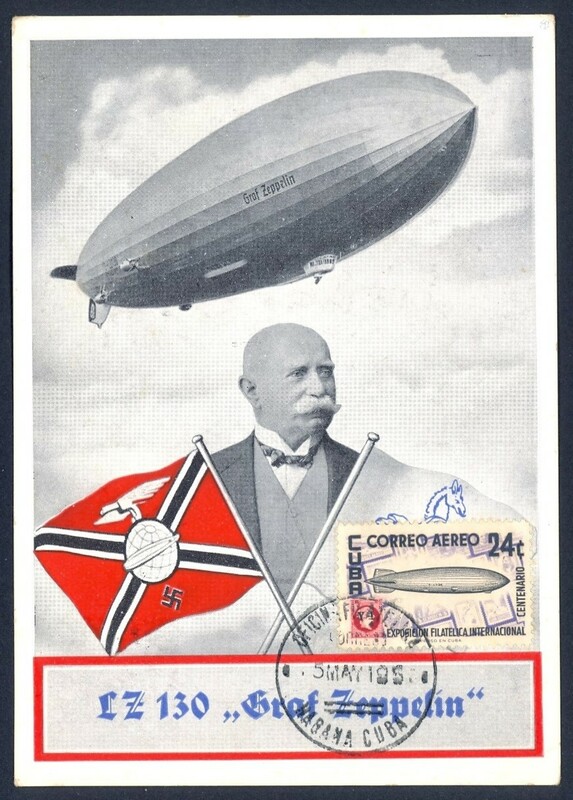 1065 LZ 130 Graf Zeppelin - Beilefeld to Strasbourg, 23 July 1939. 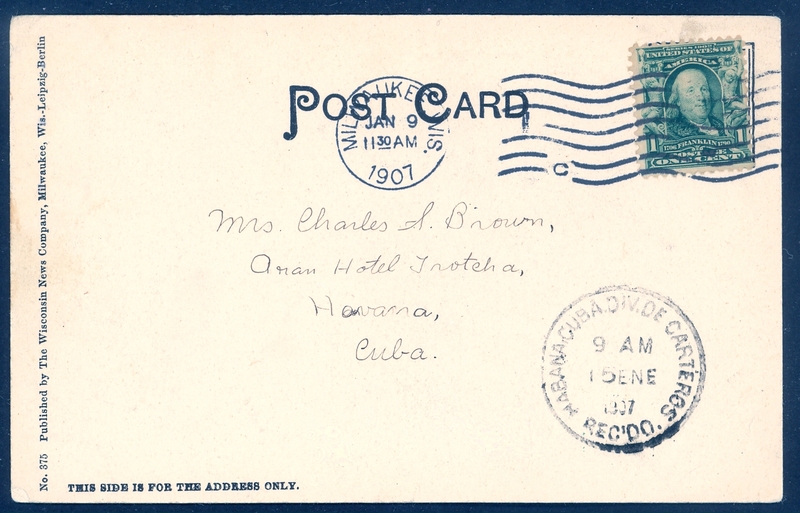 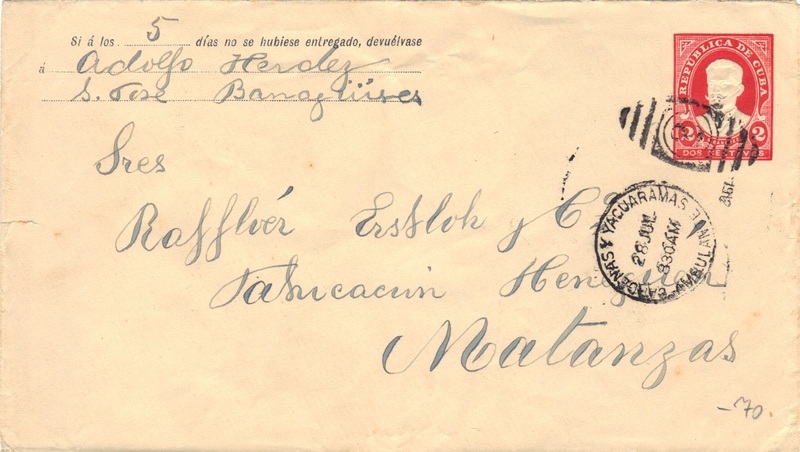 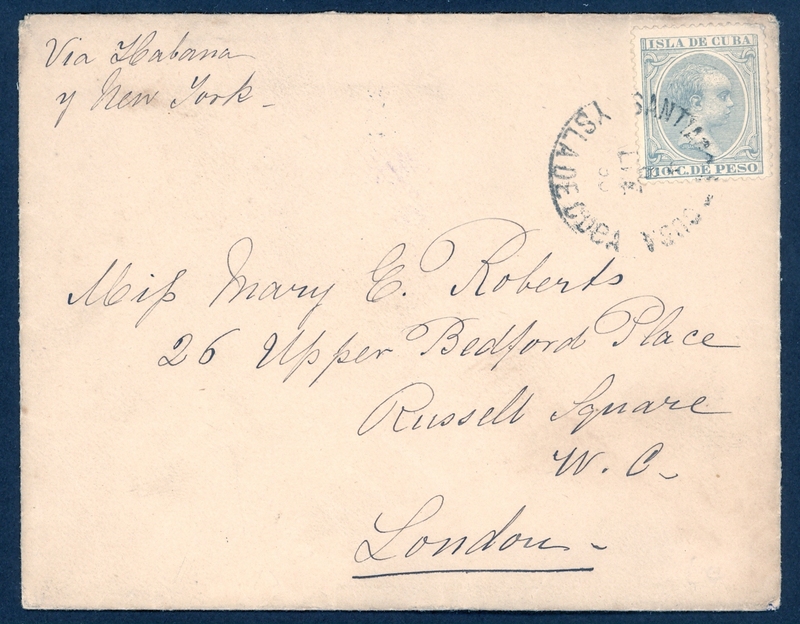 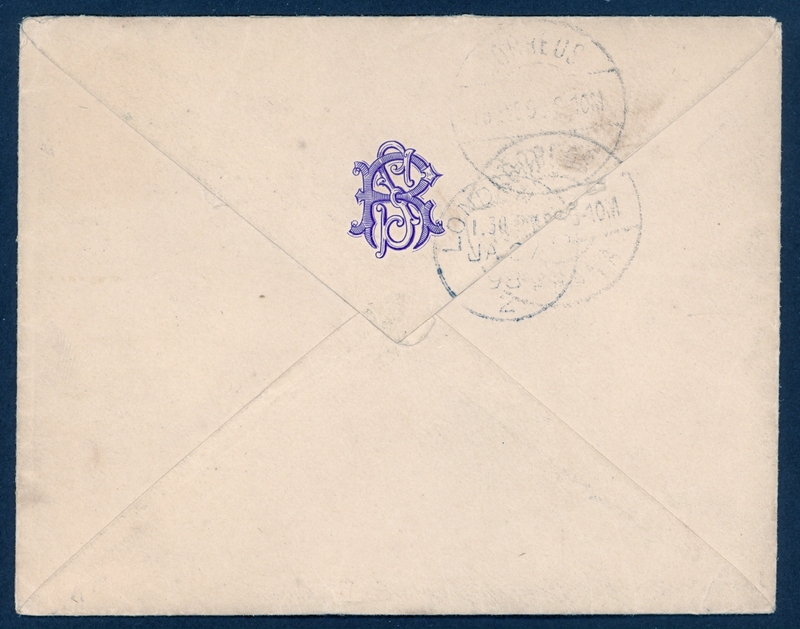 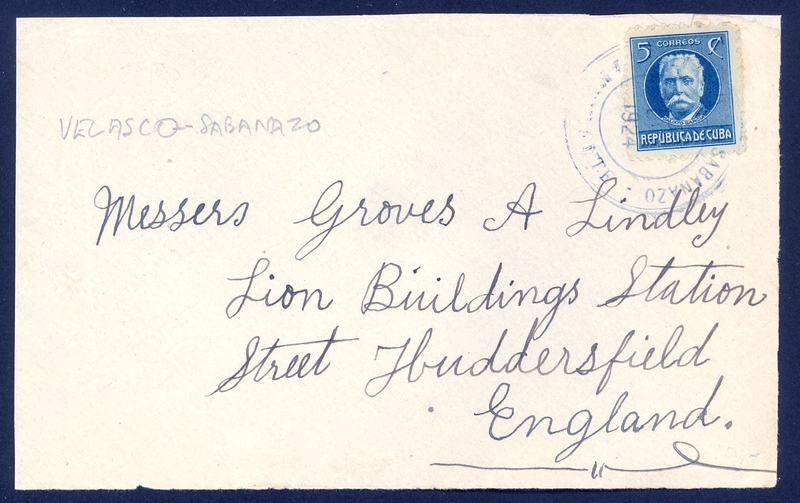 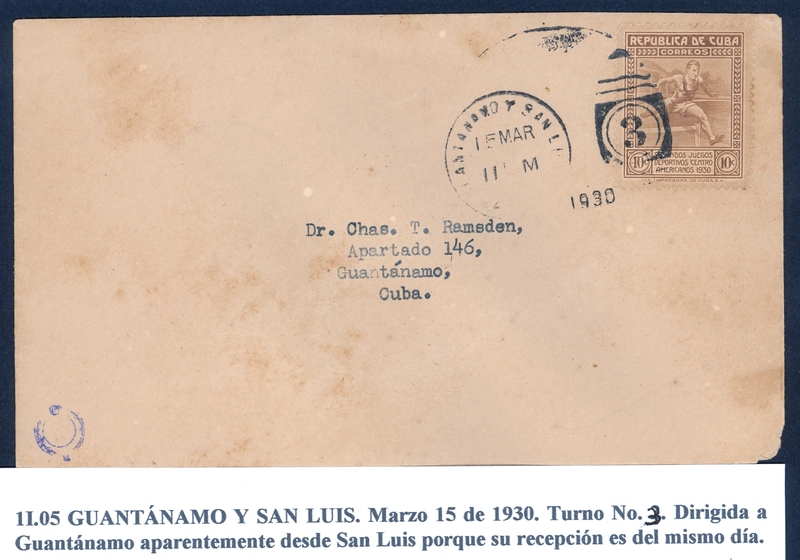 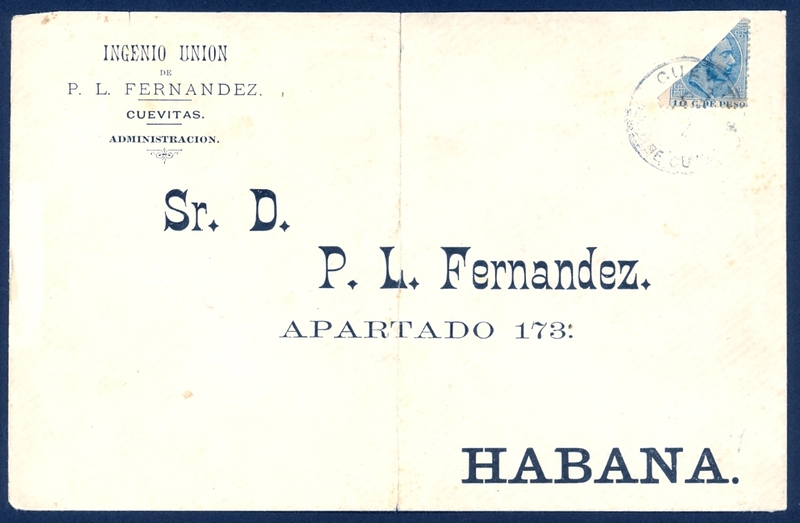 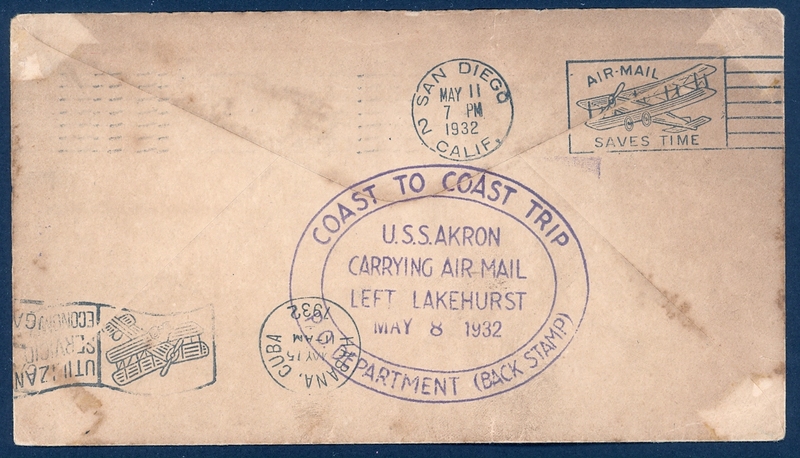 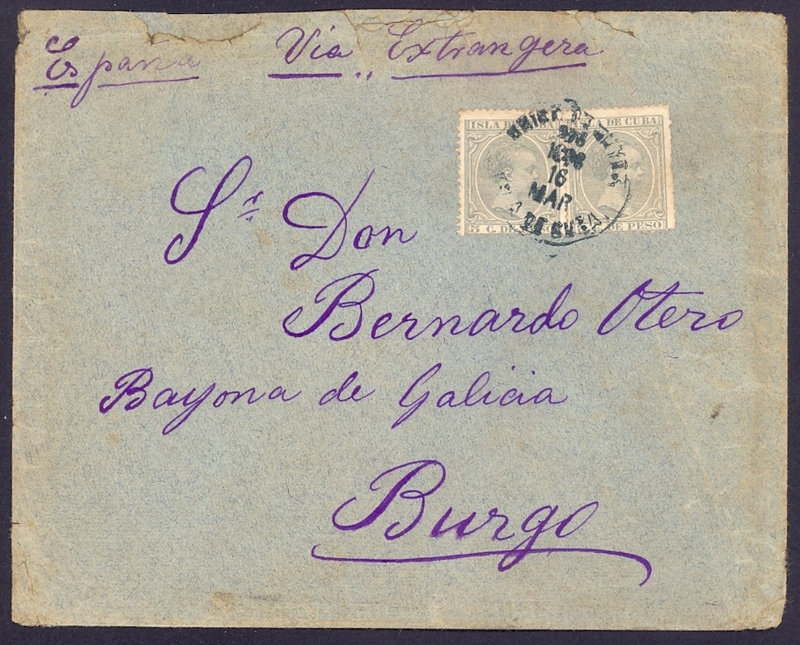 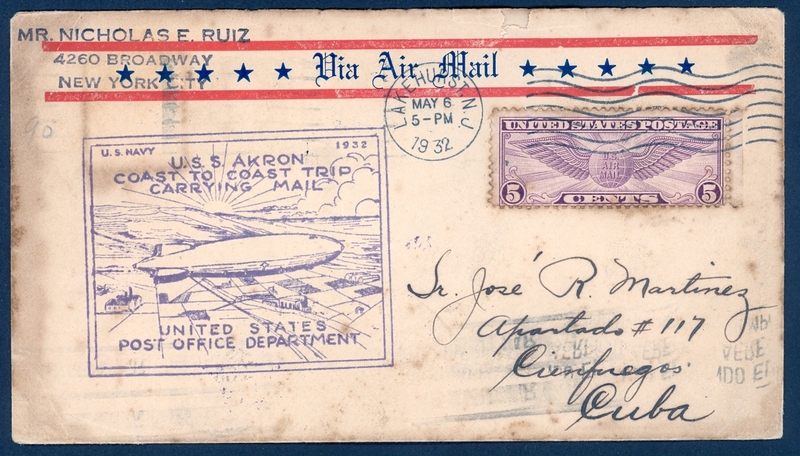 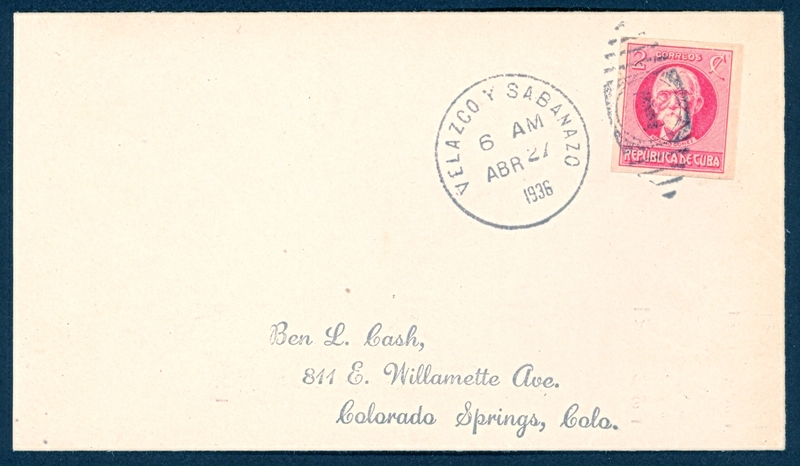 1066 USS Akron Lakehurst-San Diego-Havana-Cienfuegos 6 May 1932. 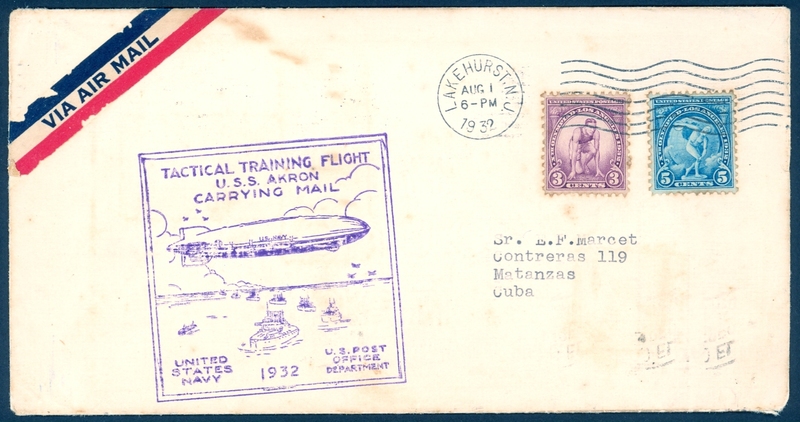 1067 USS Akron Lakehurst to Matanzas, 1 Aug 1932. 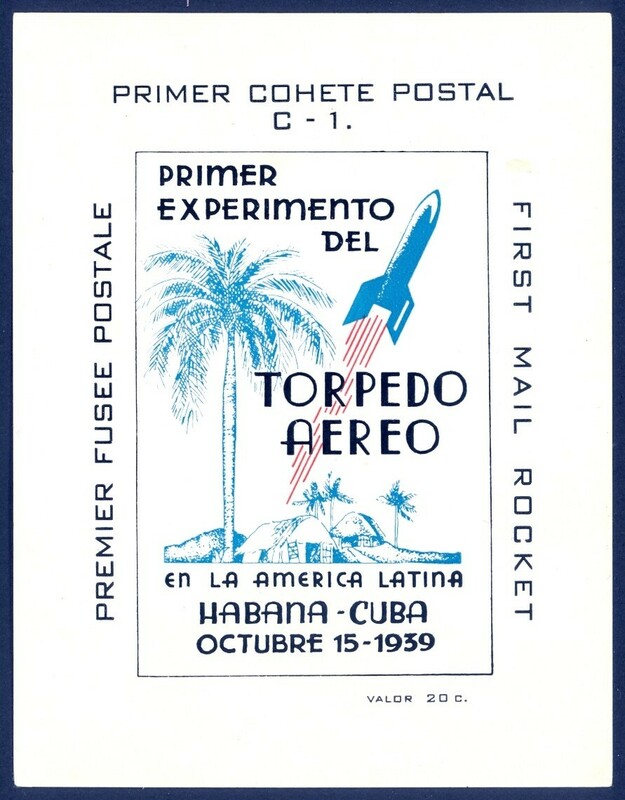 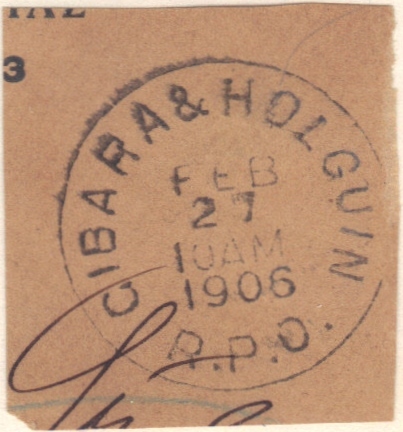 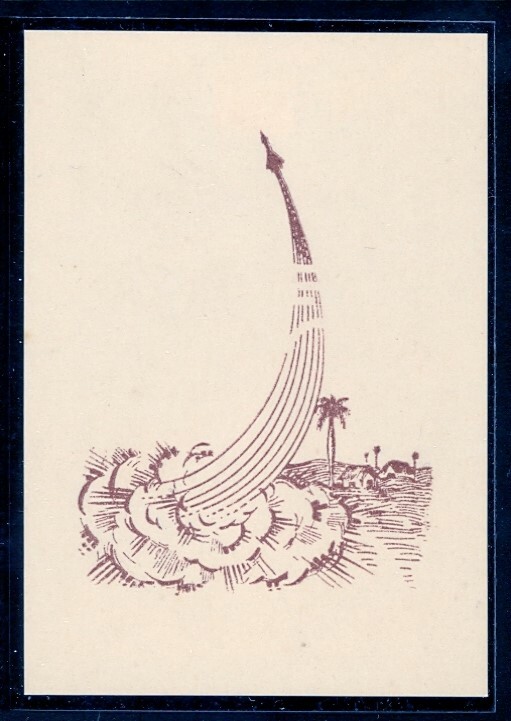 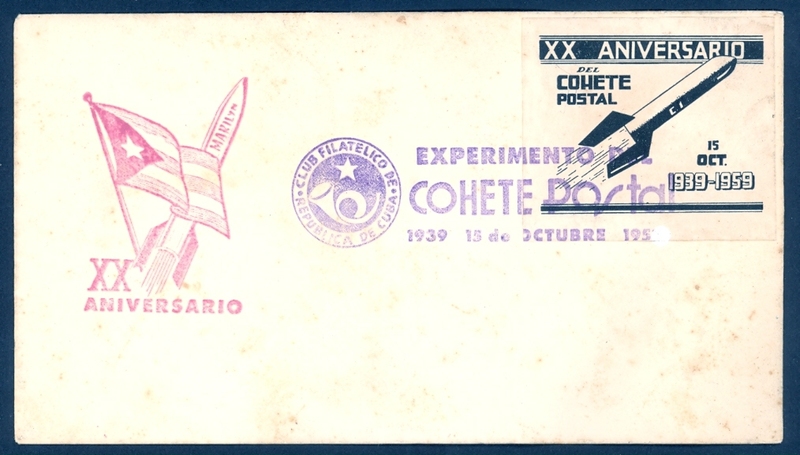 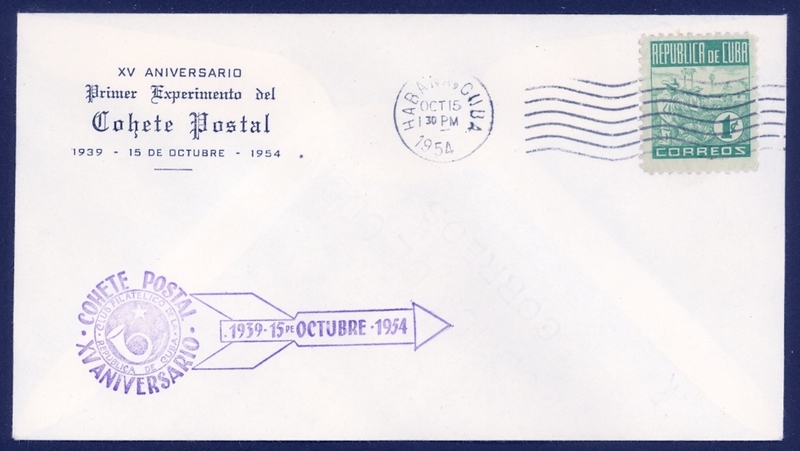 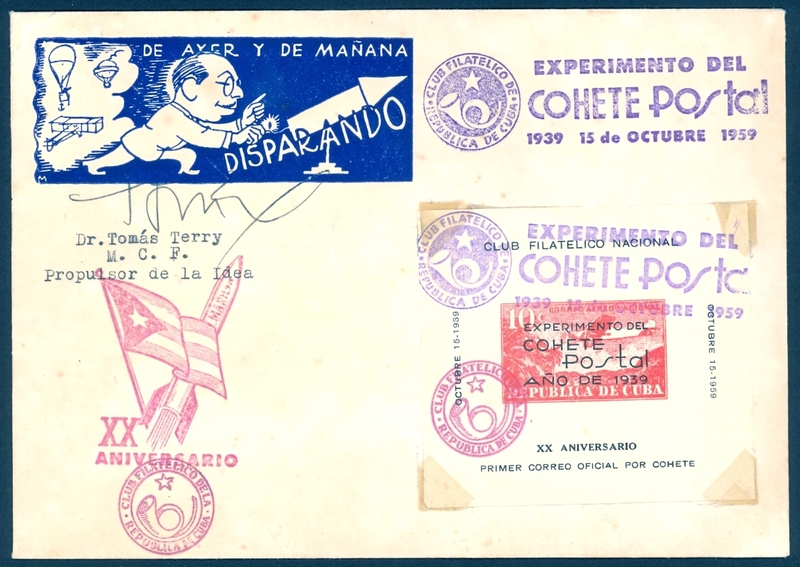 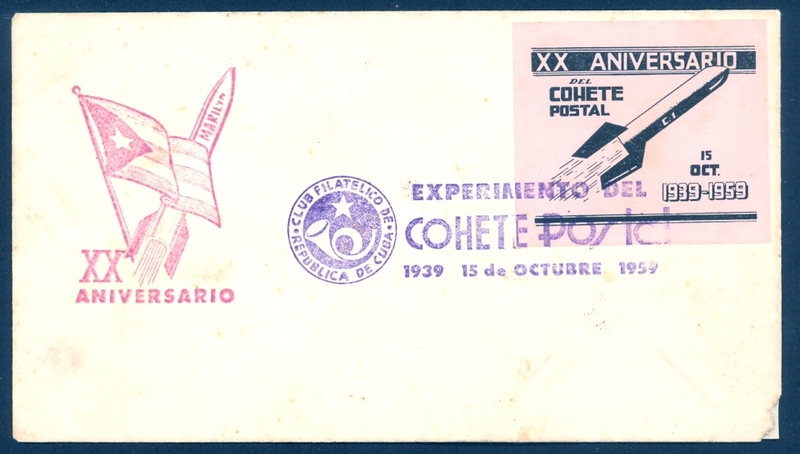 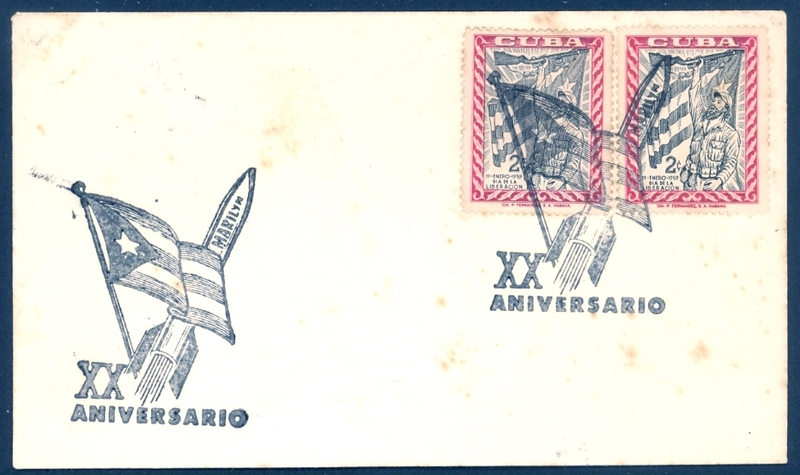 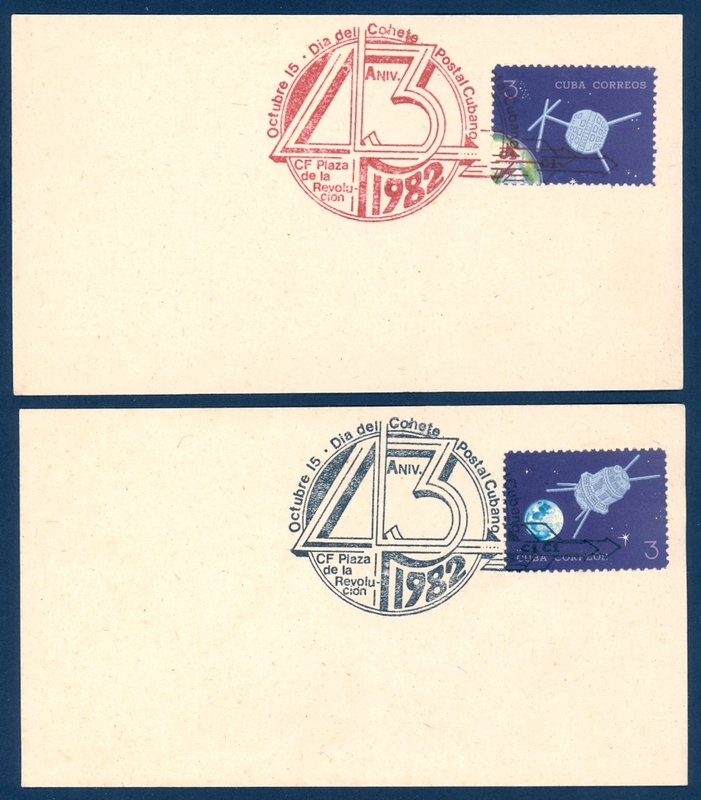 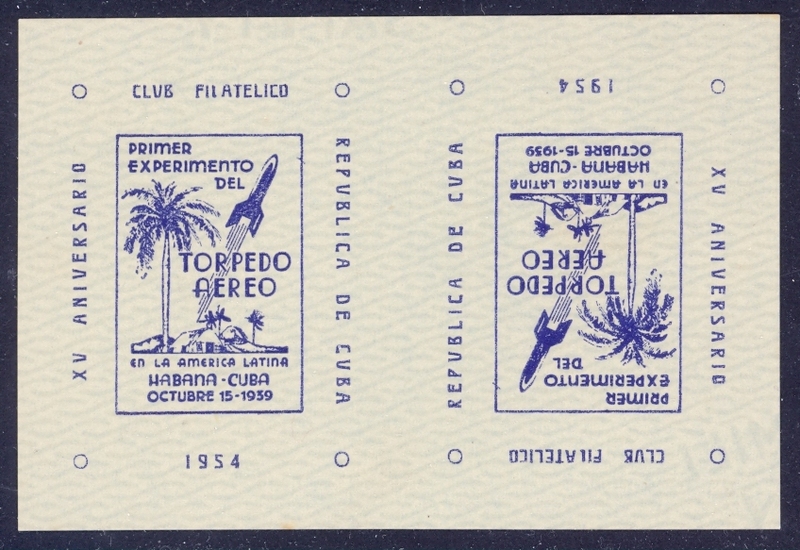 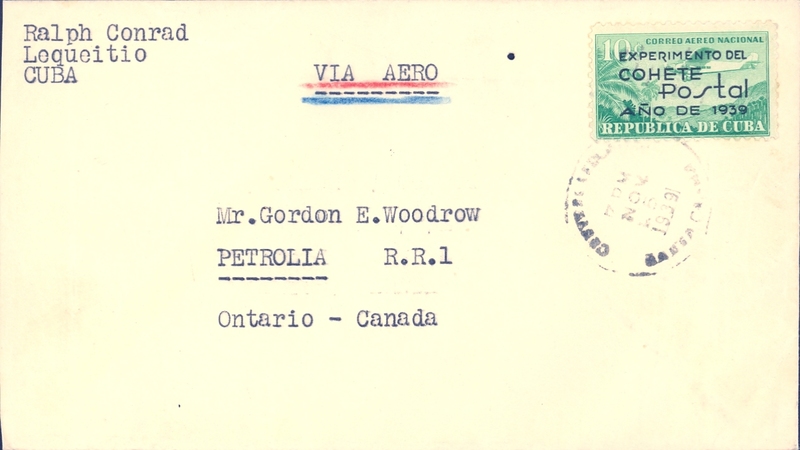 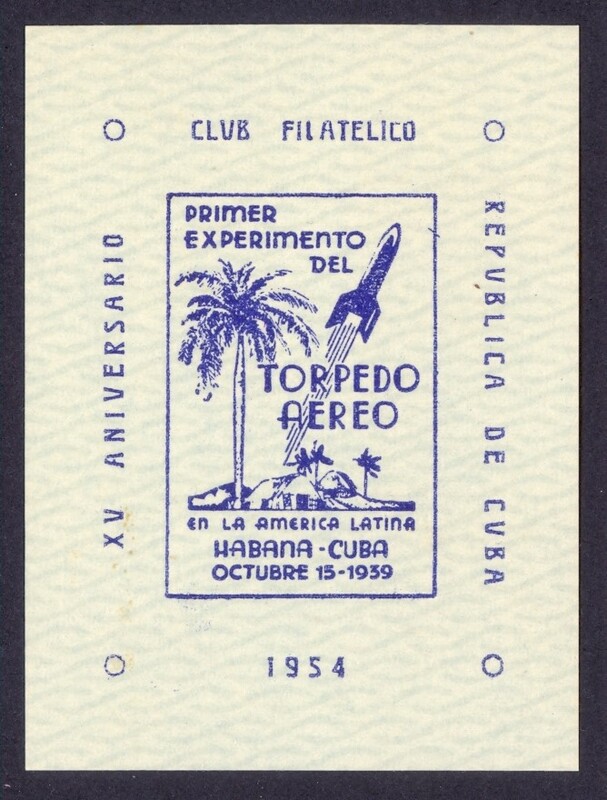 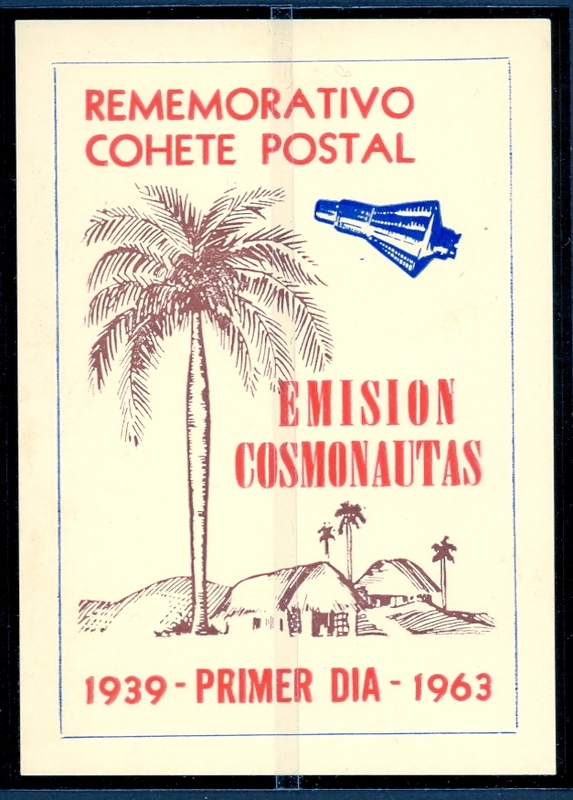 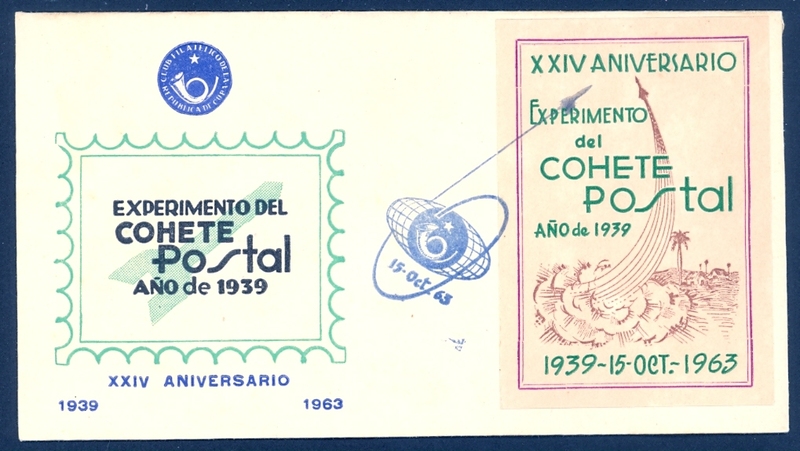 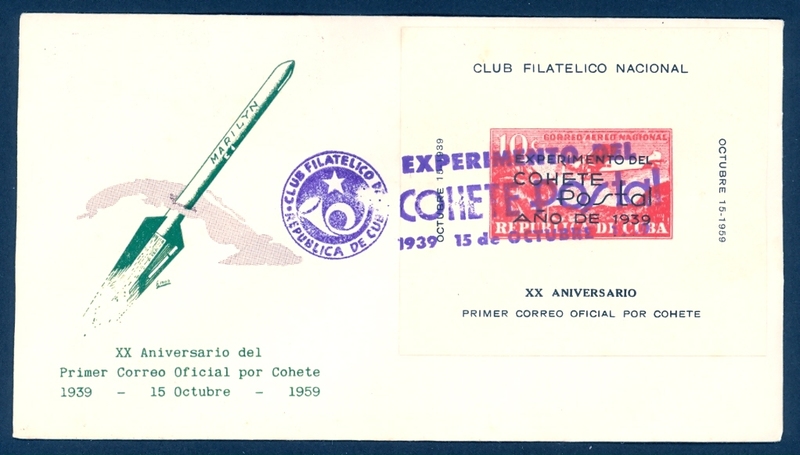 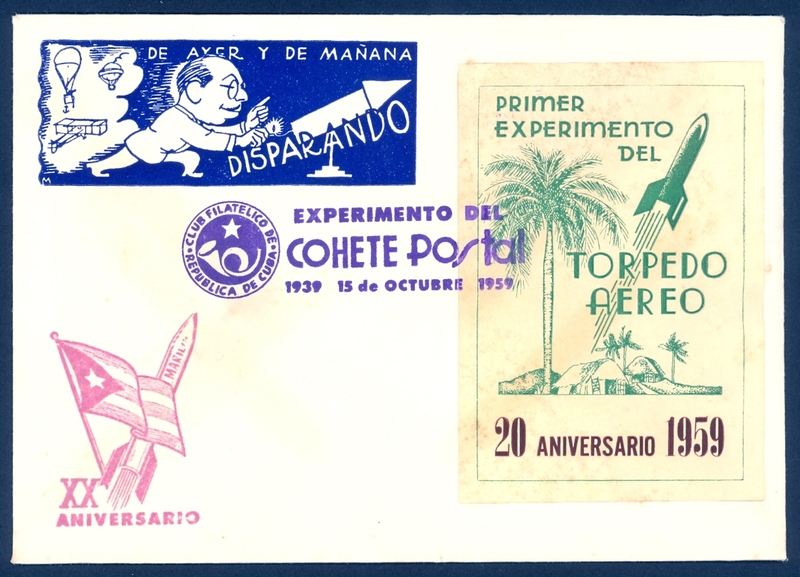 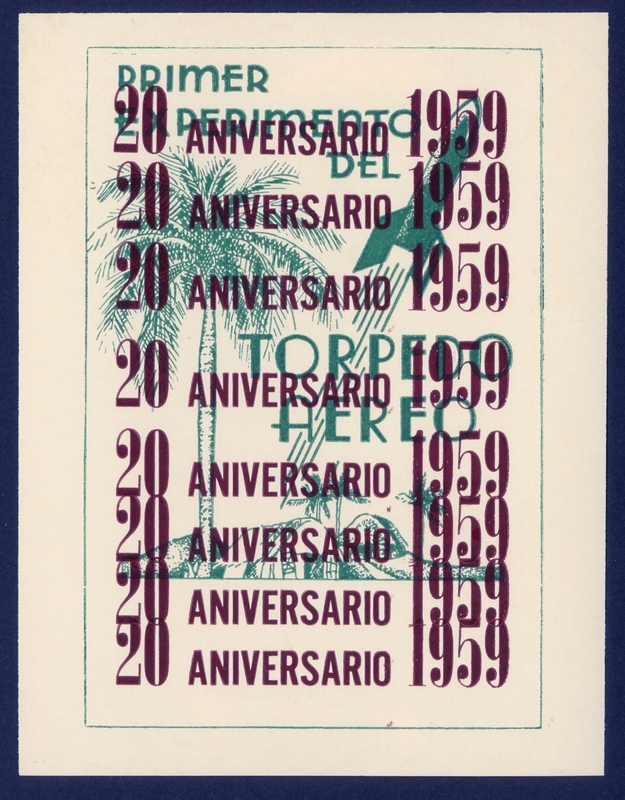 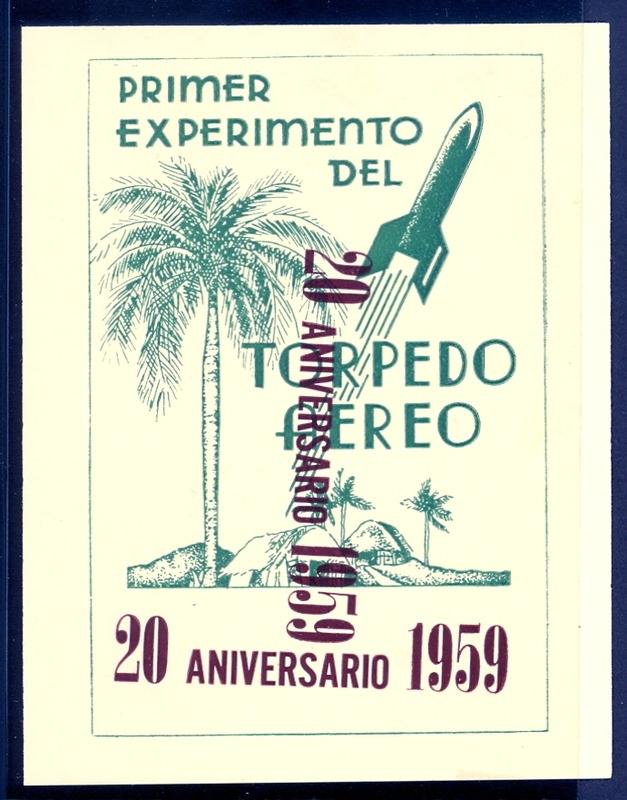 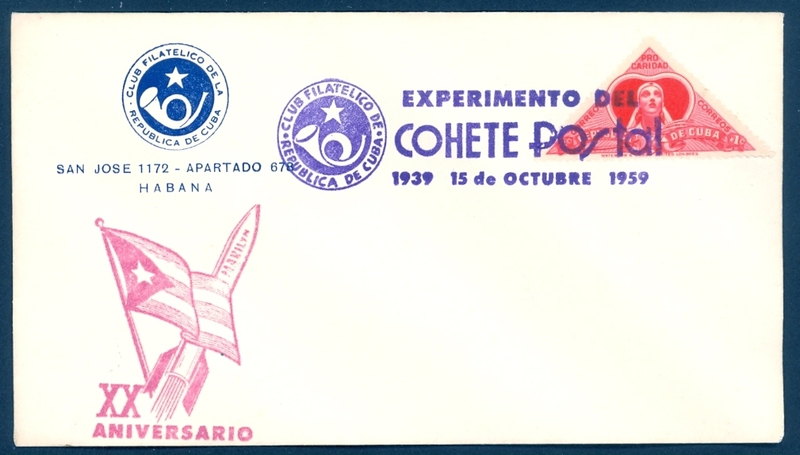 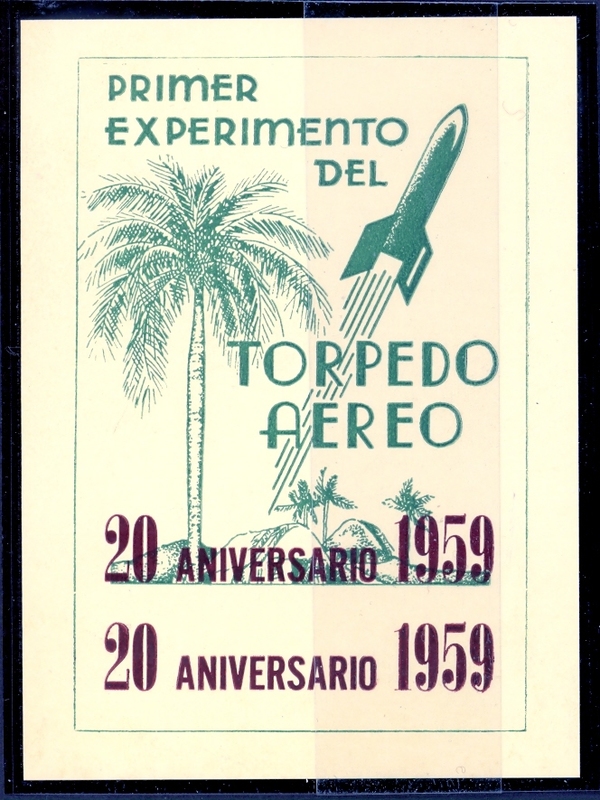 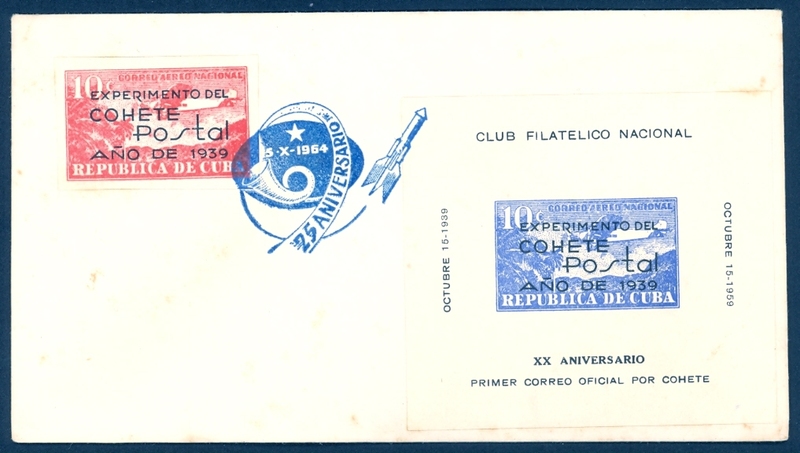 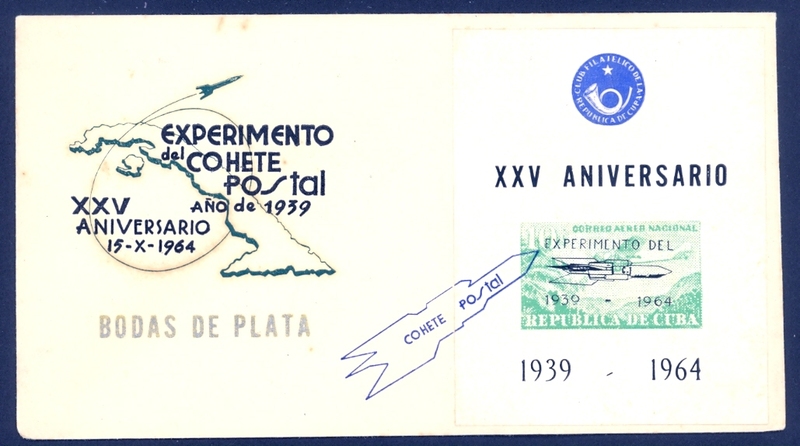 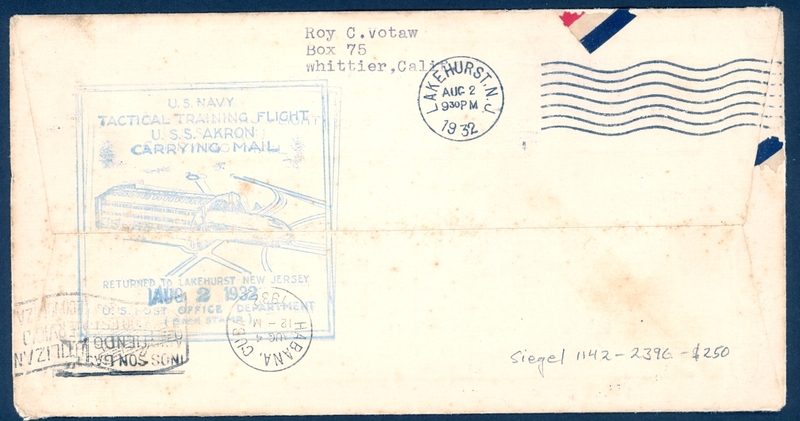 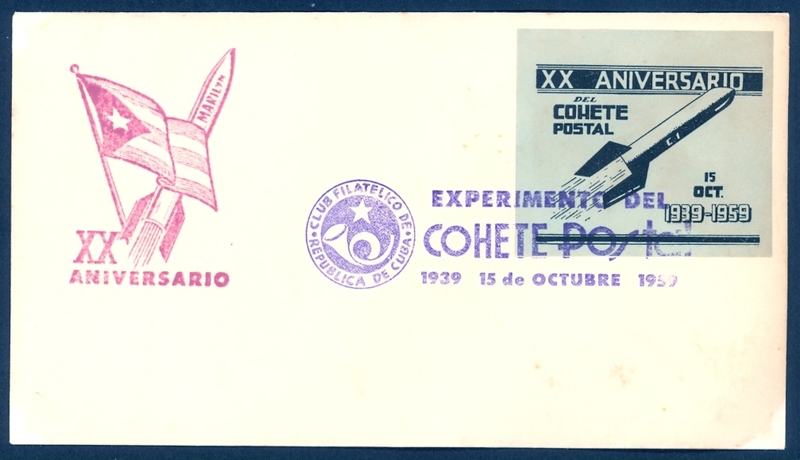 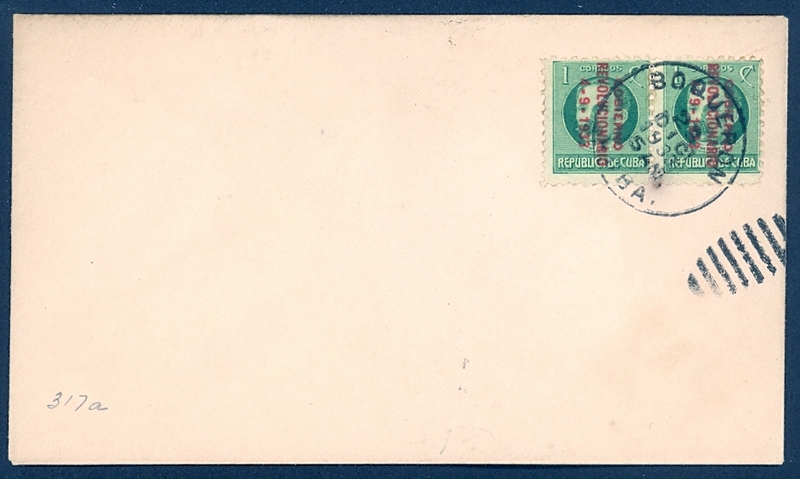 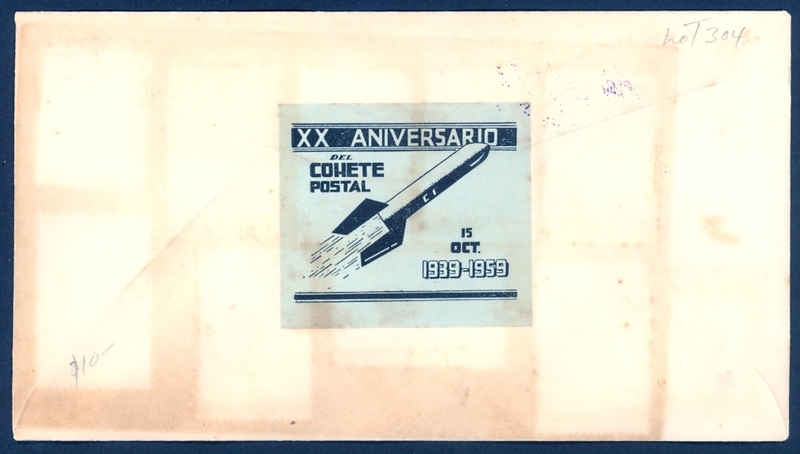 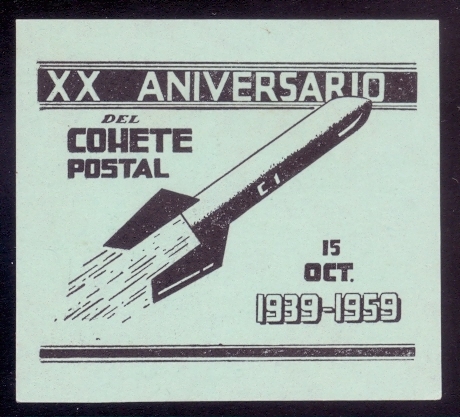 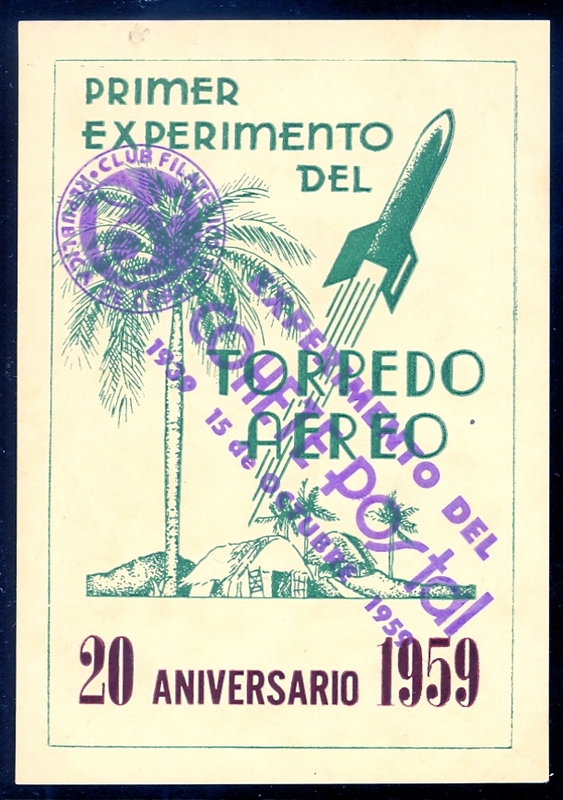 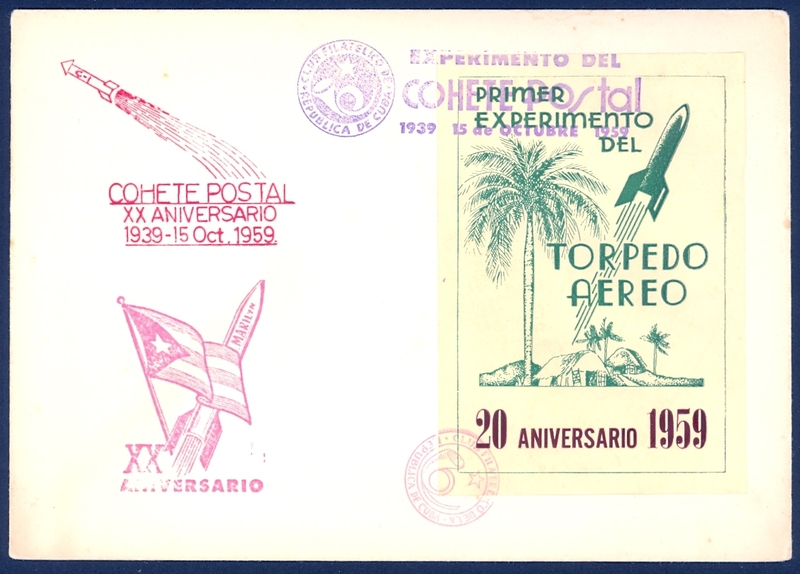 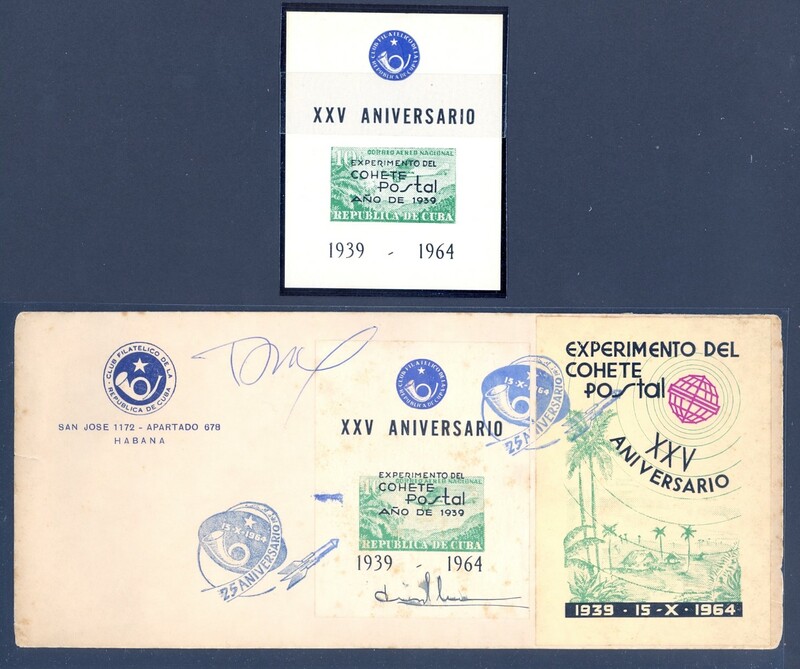 1070 - 1939 Postal Rocket Souvenir sheet, unhinged. 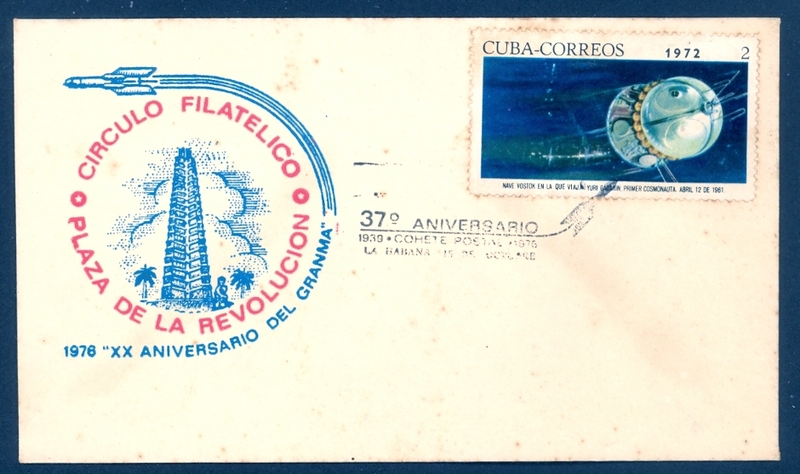 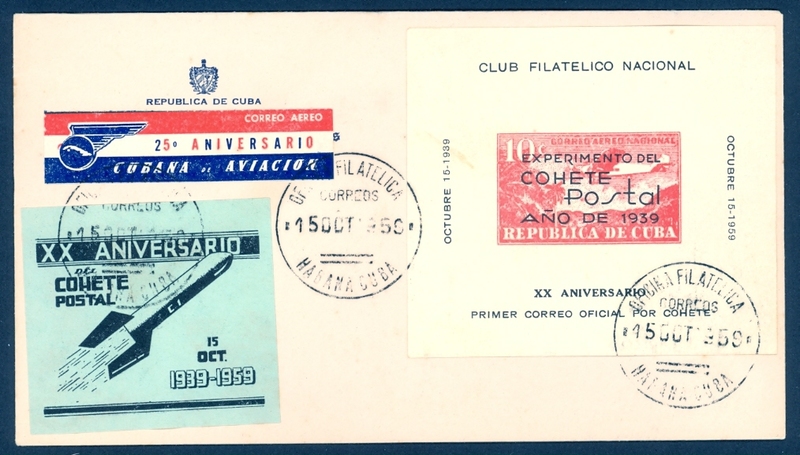 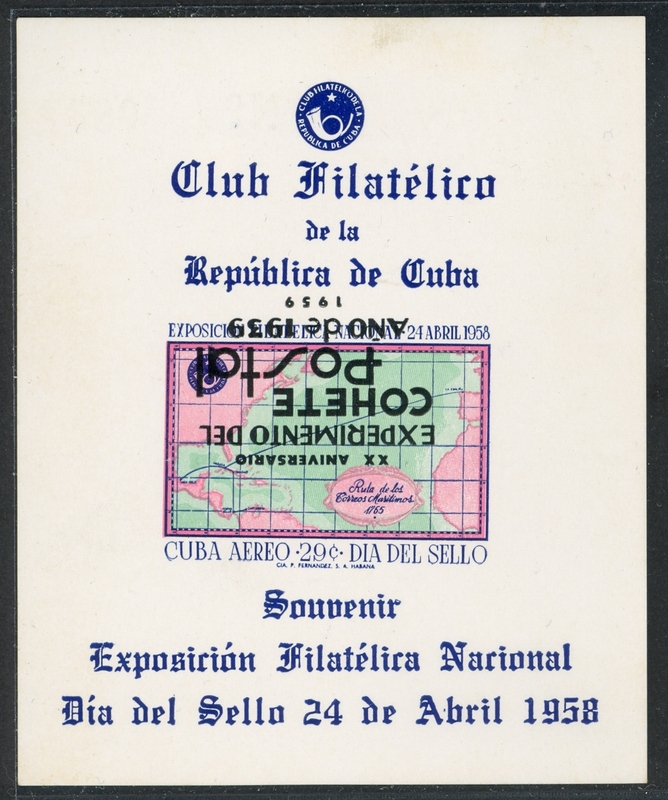 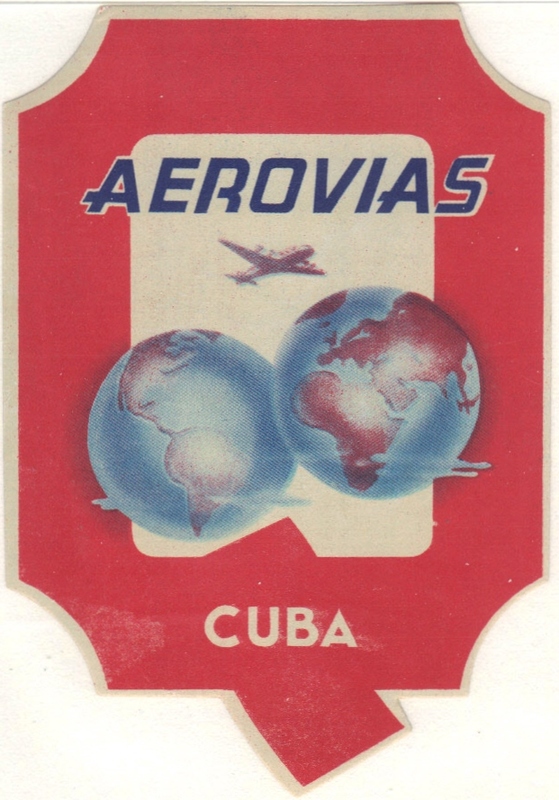 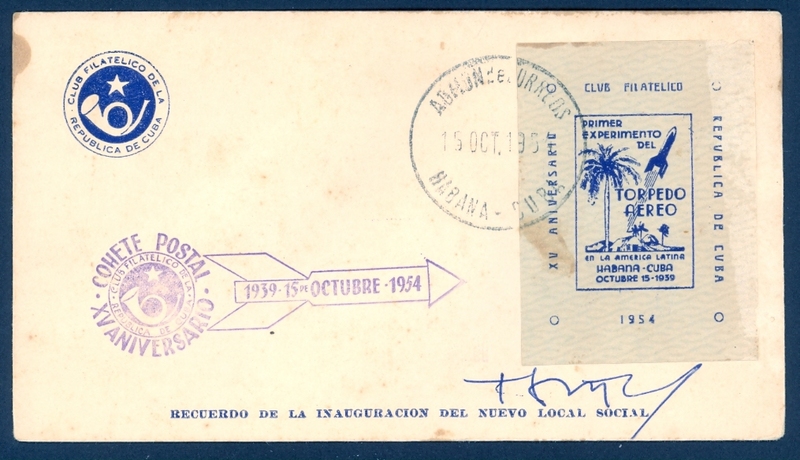 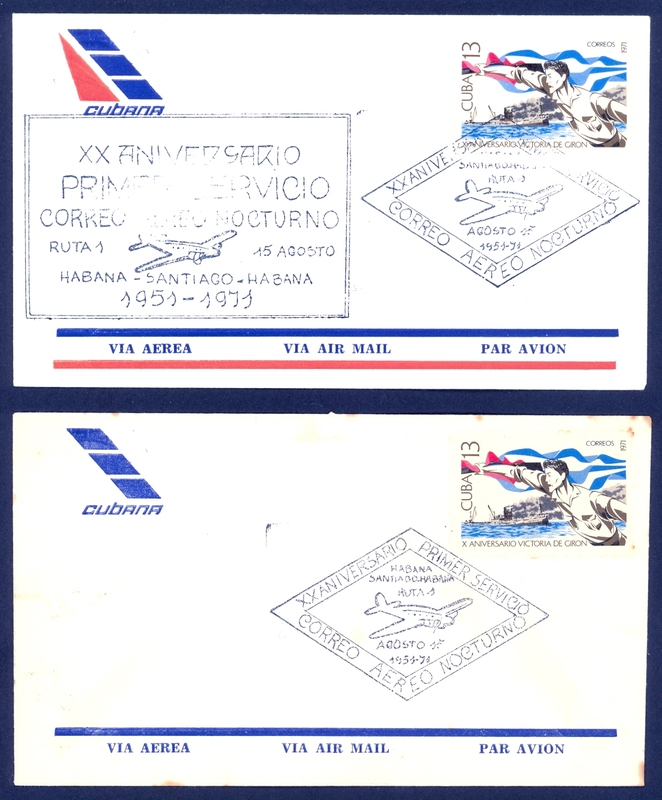 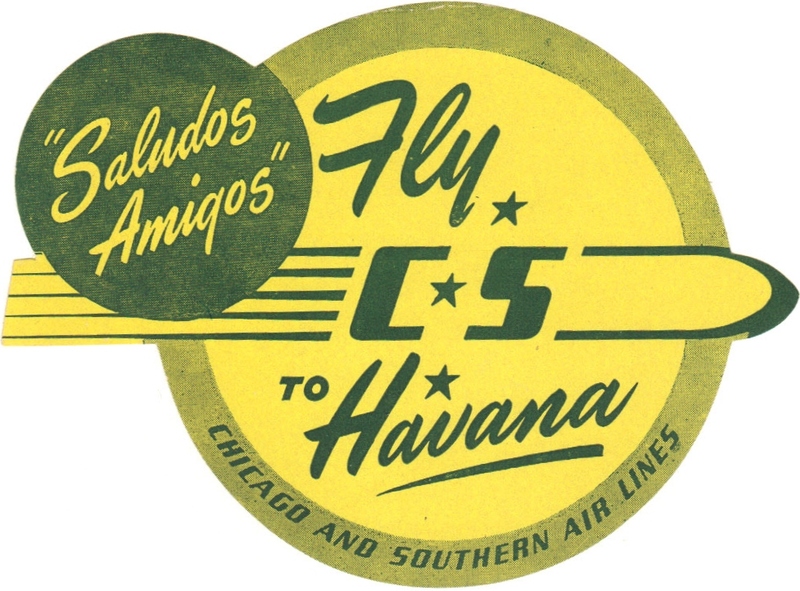 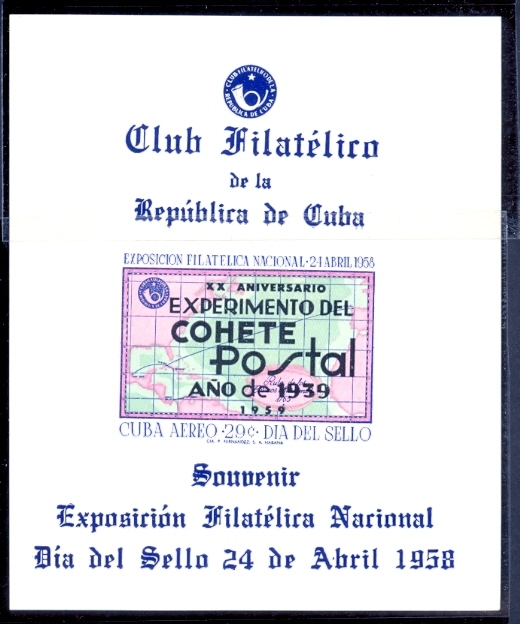 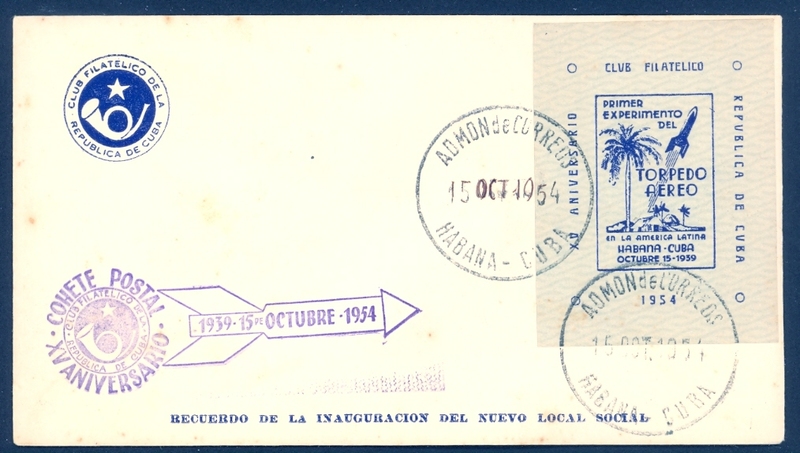 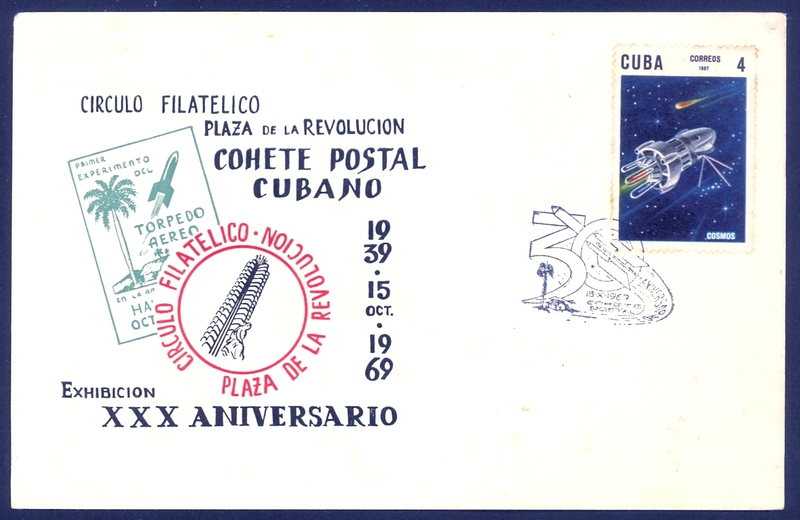 1085E - "First Anniversary Vuelo Soviético-Cubano. 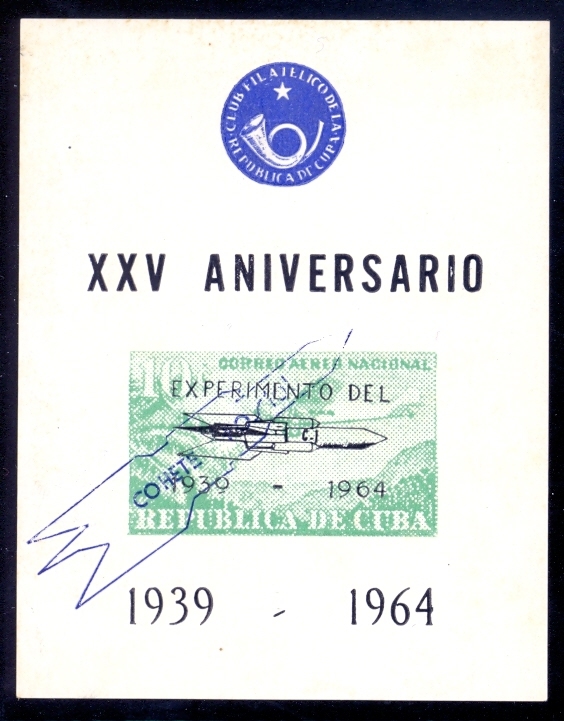 "50 Anniv. 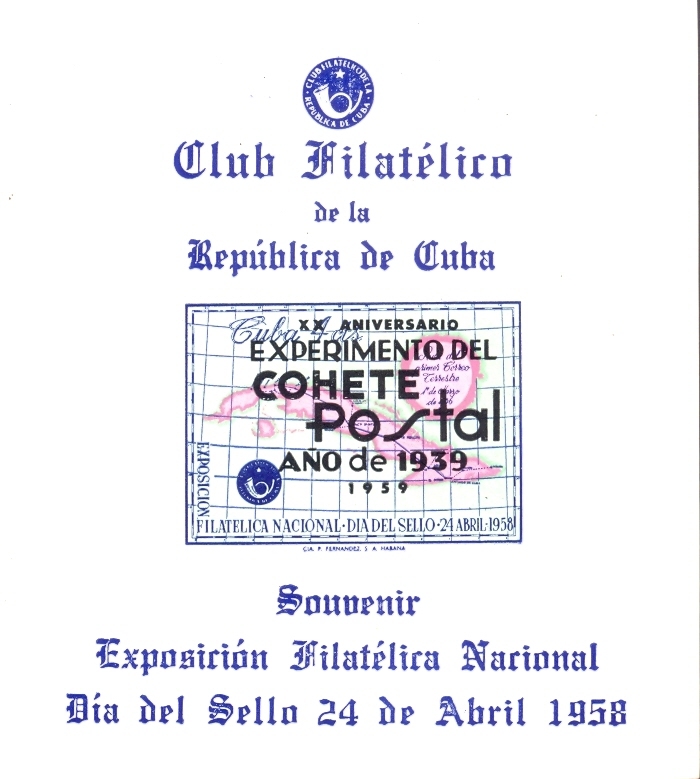 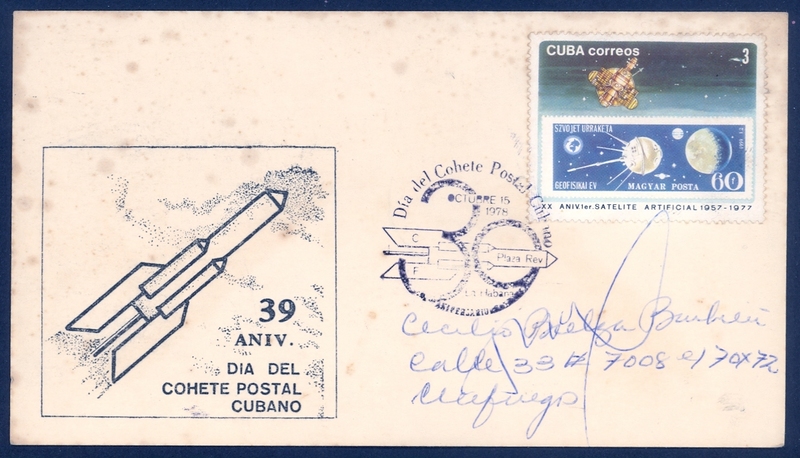 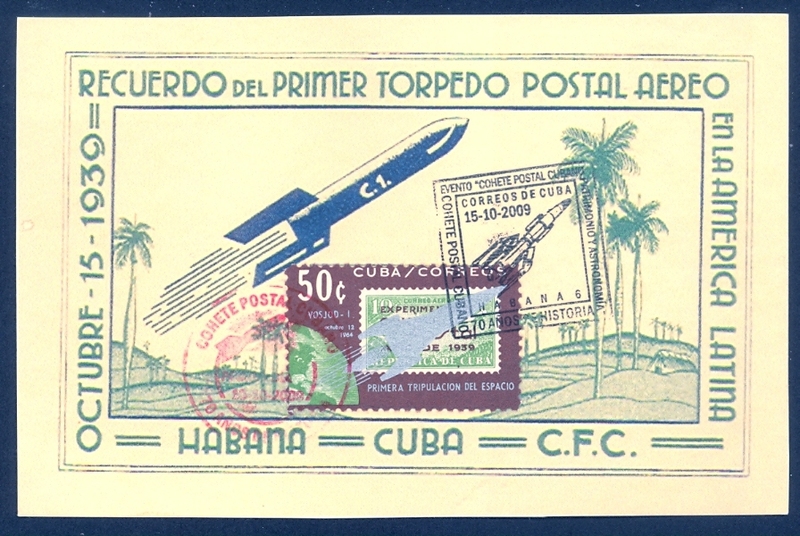 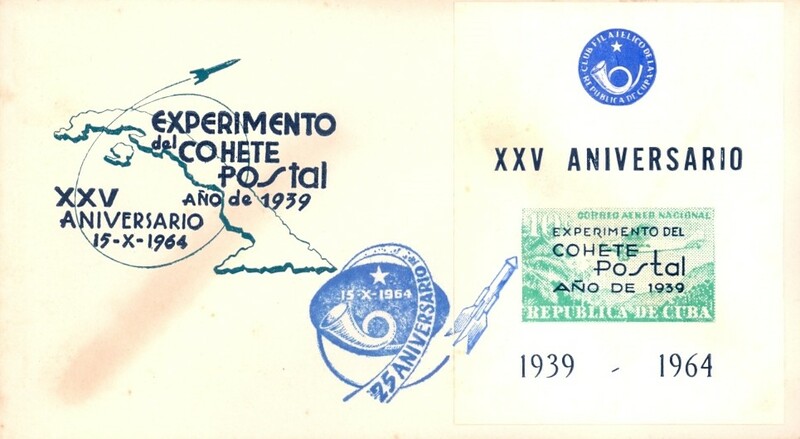 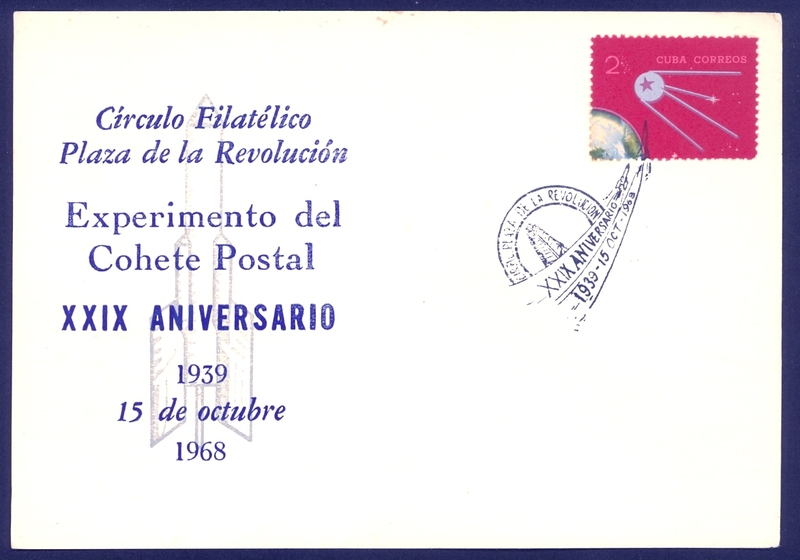 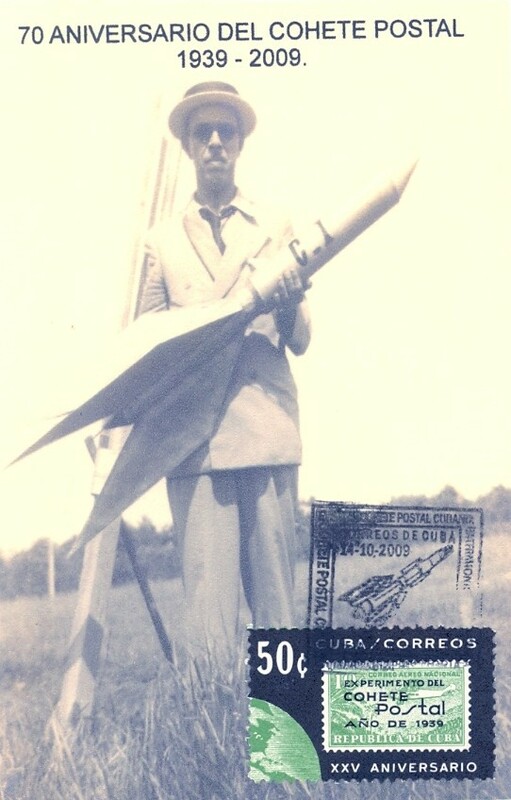 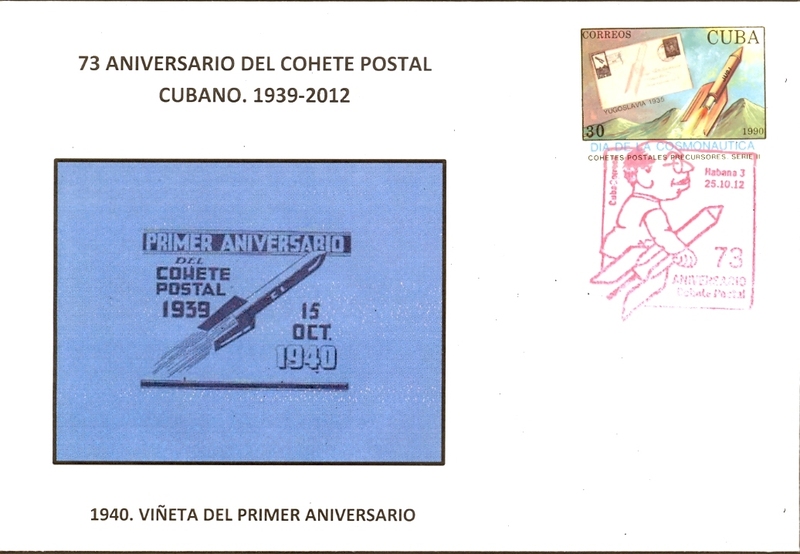 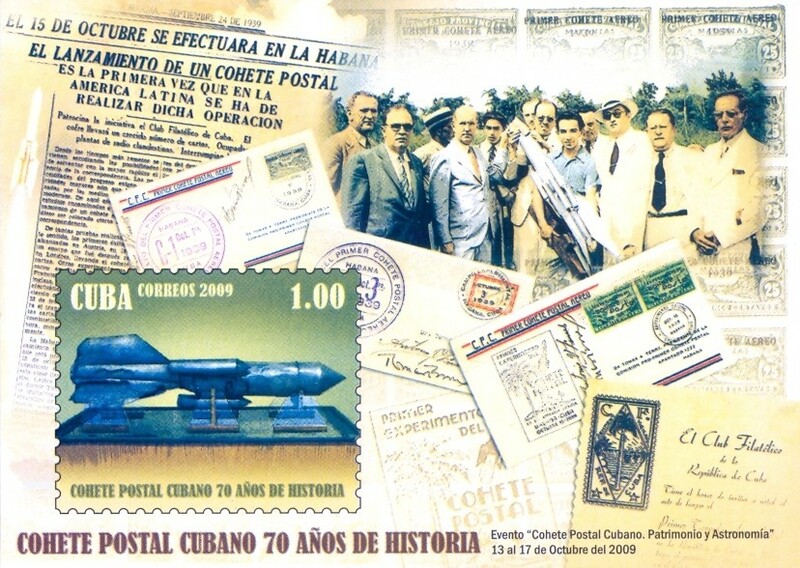 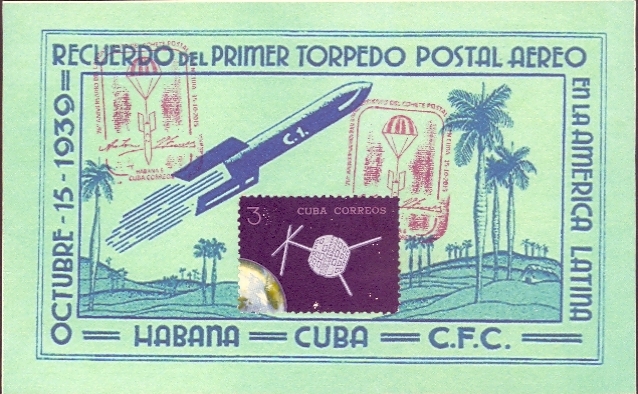 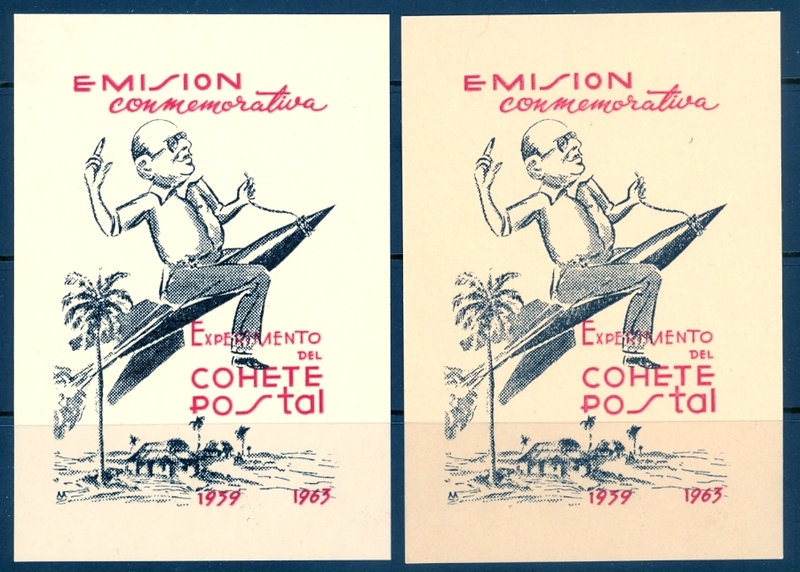 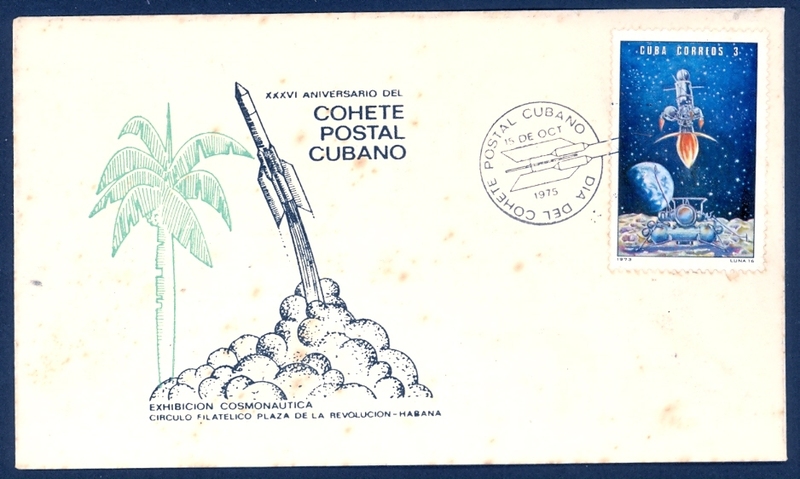 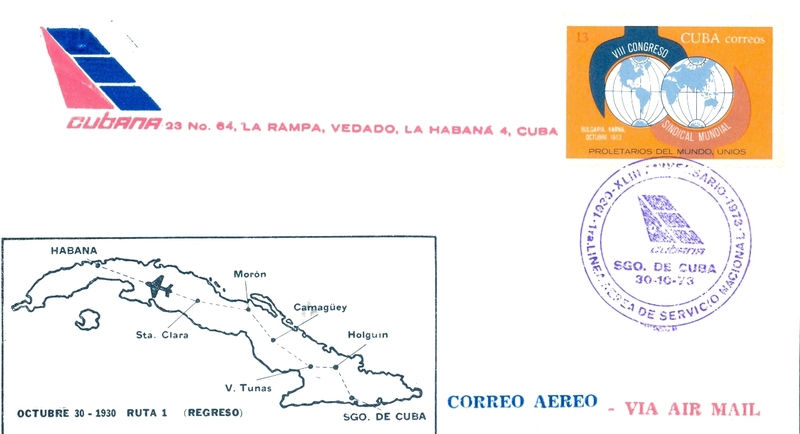 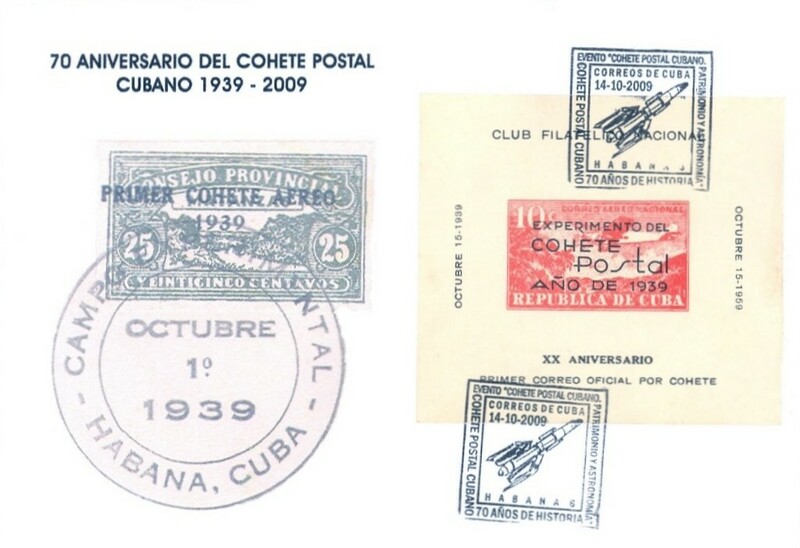 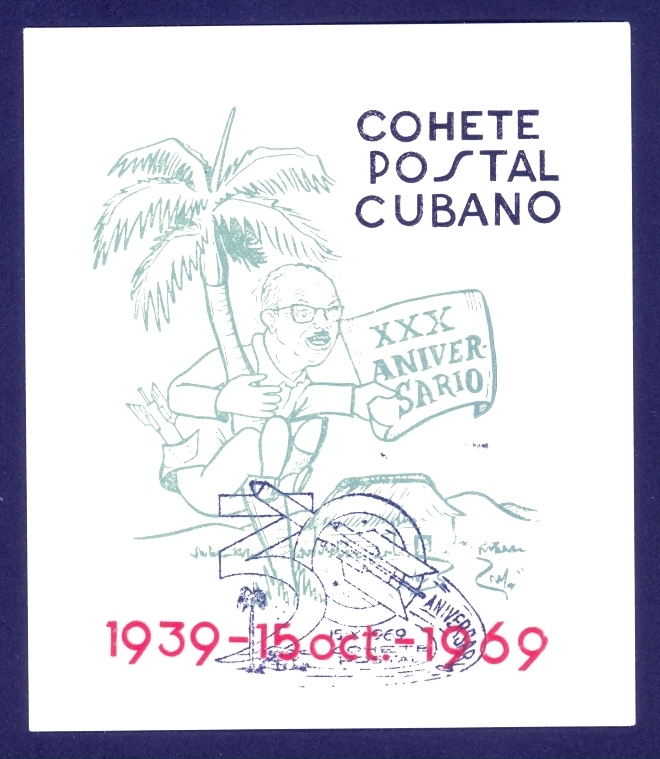 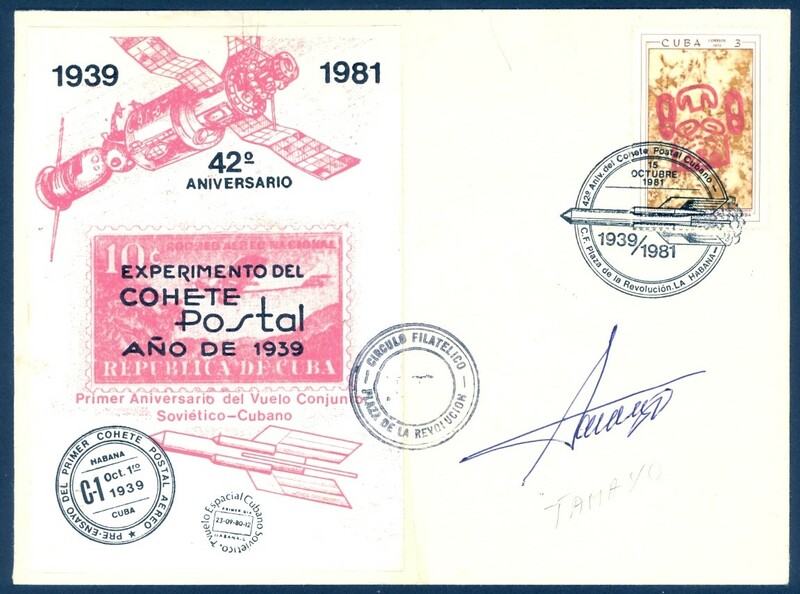 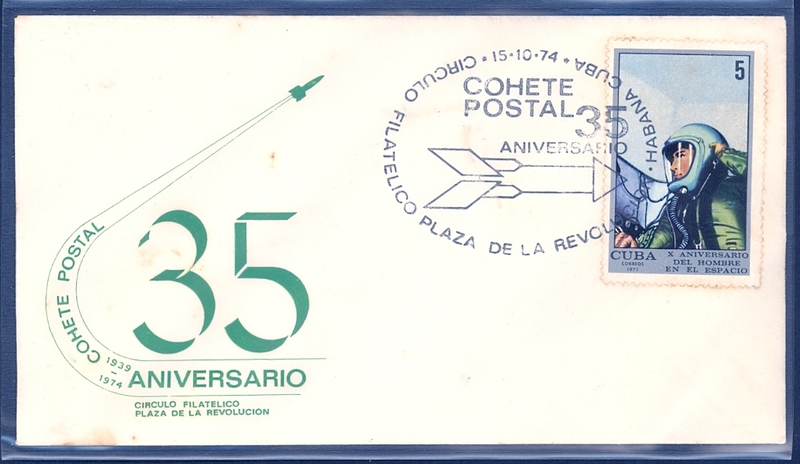 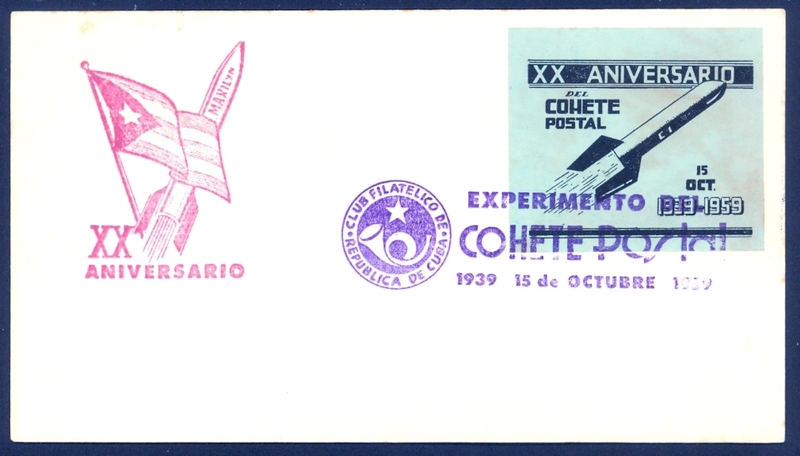 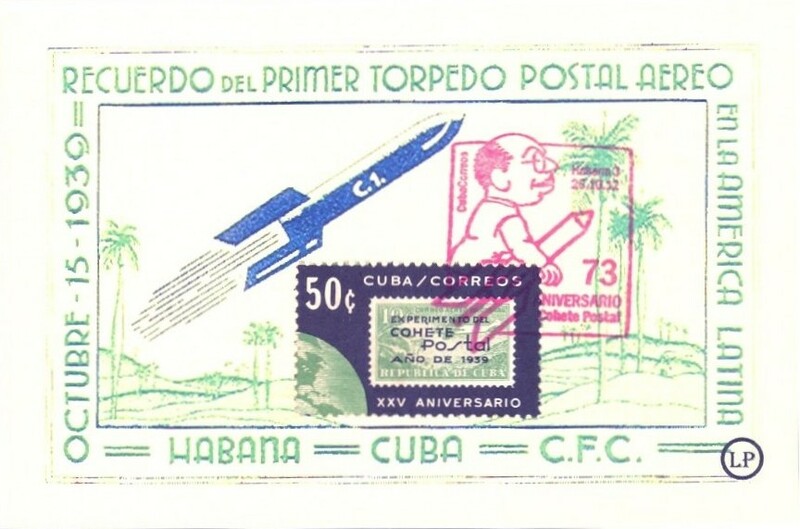 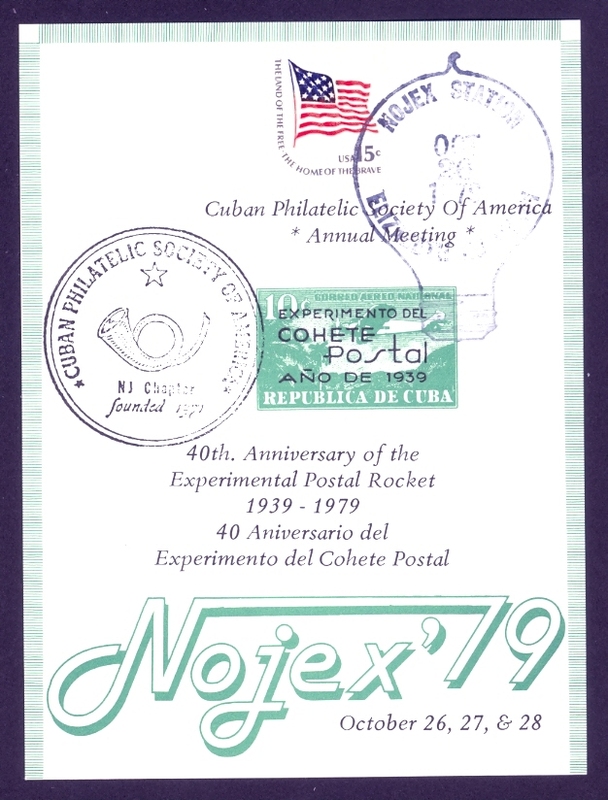 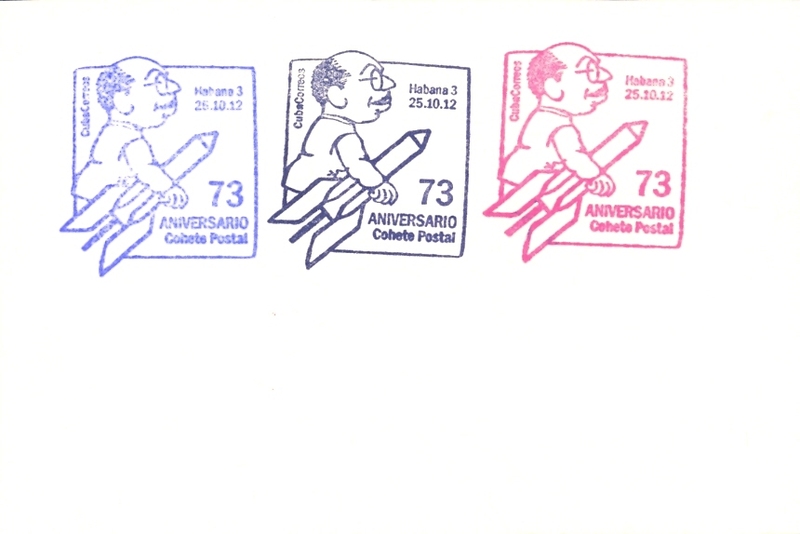 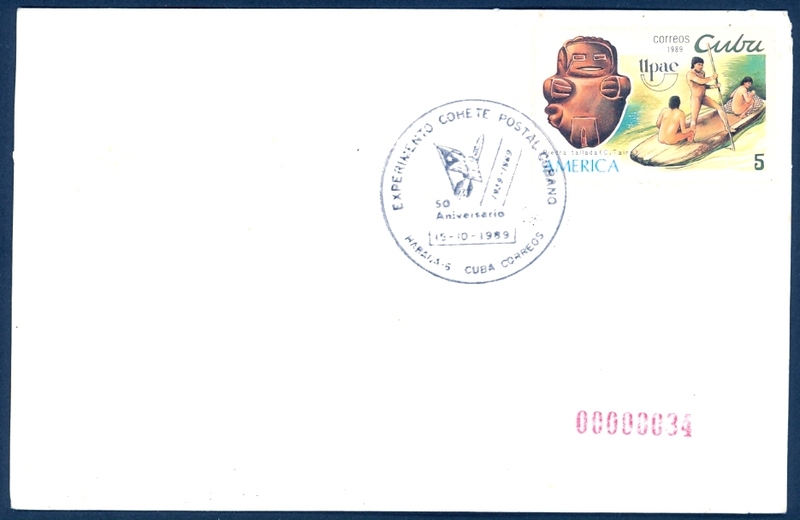 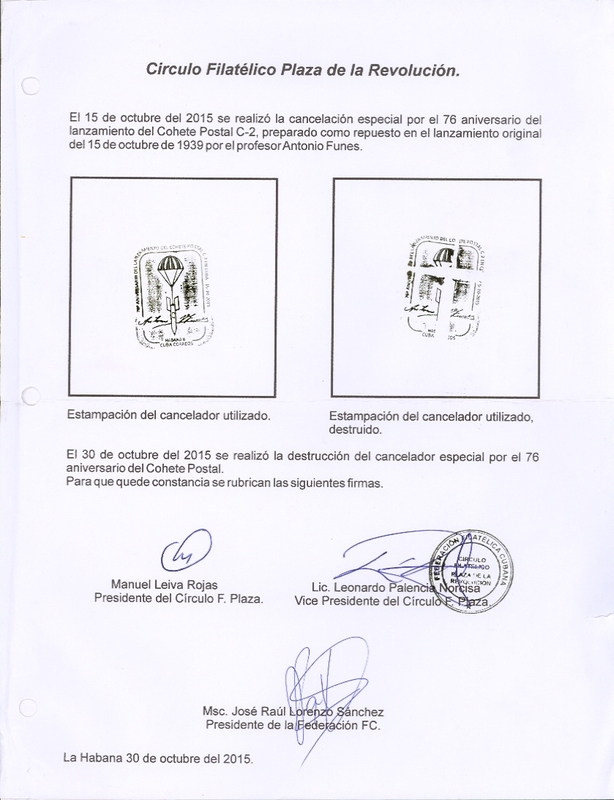 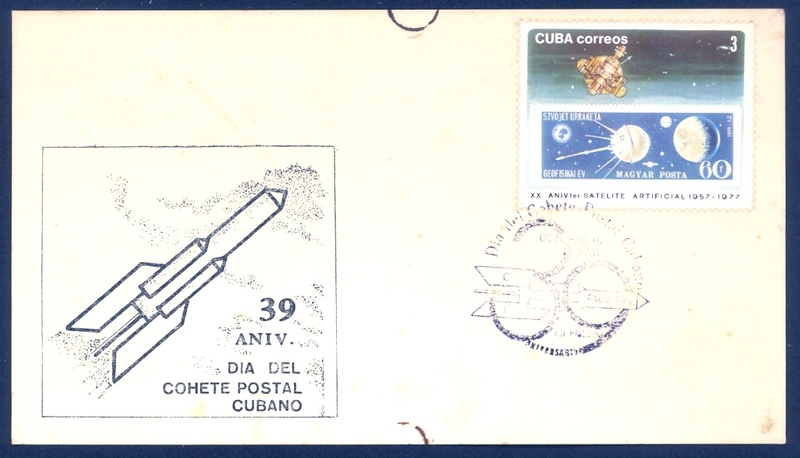 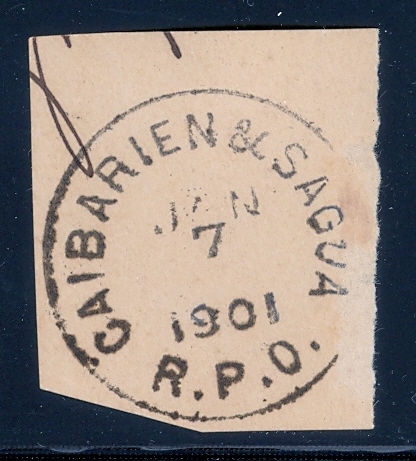 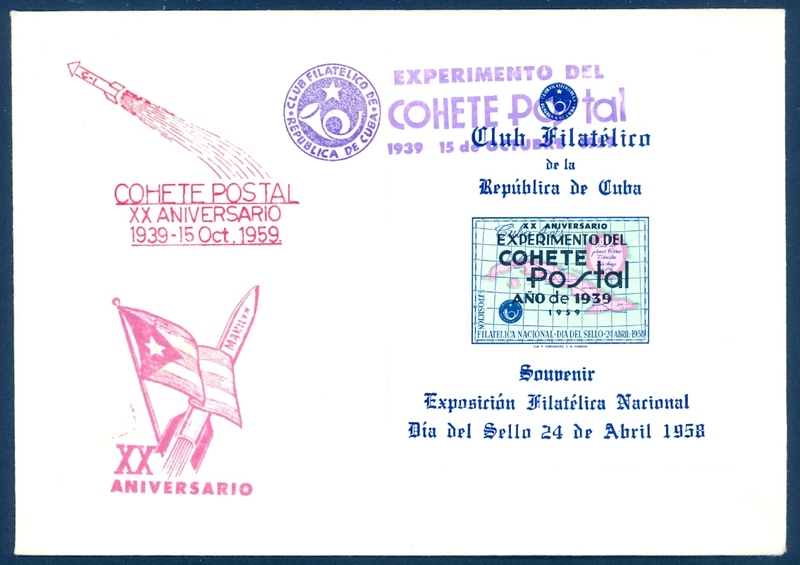 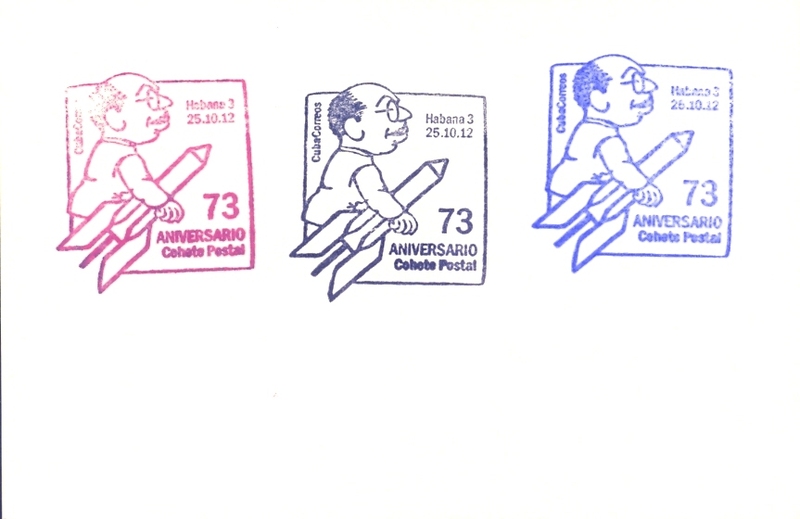 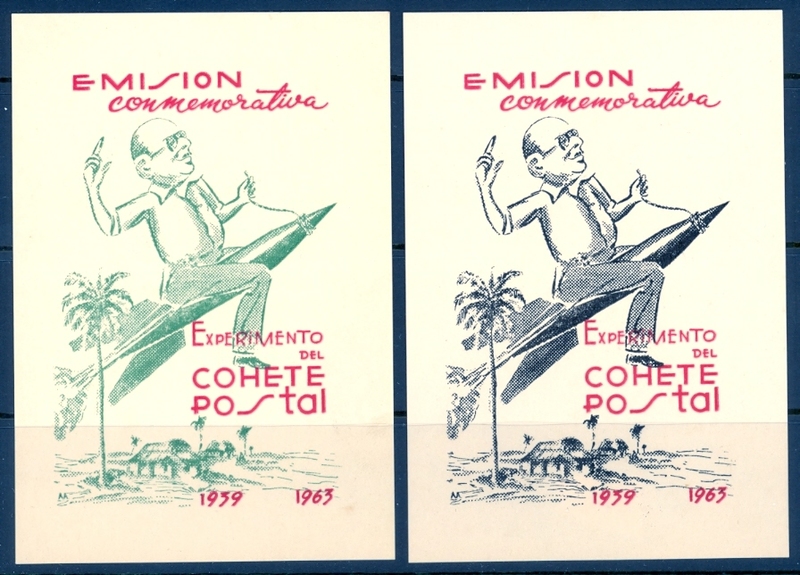 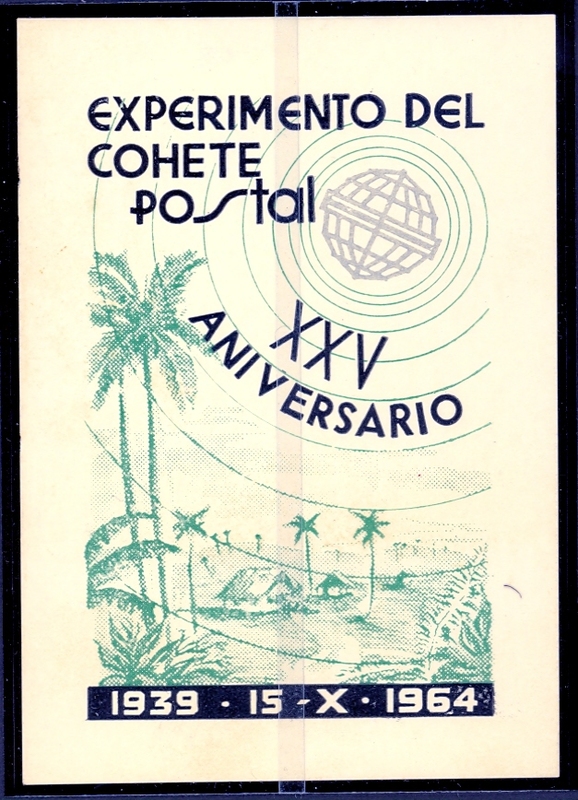 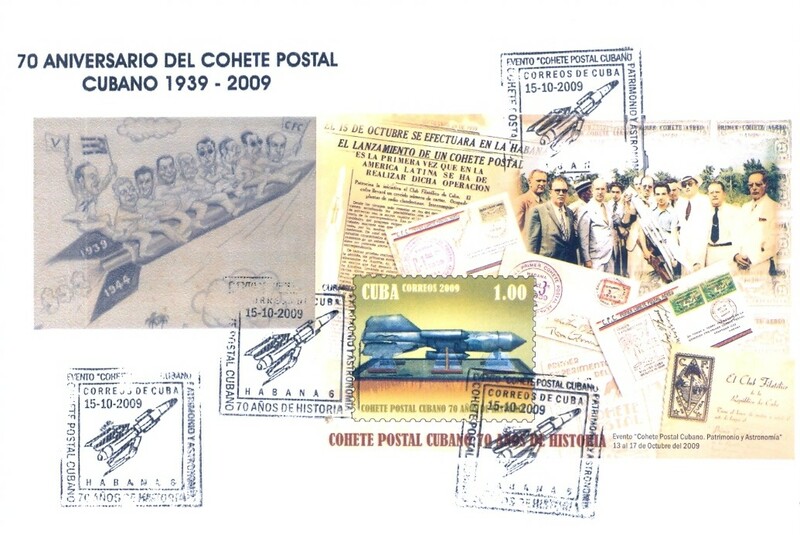 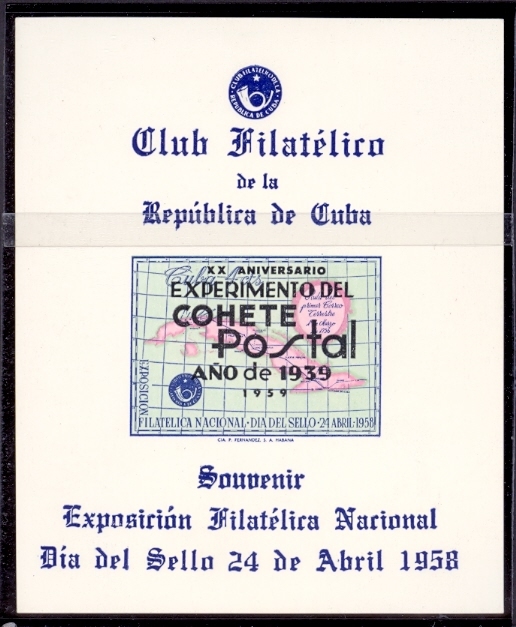 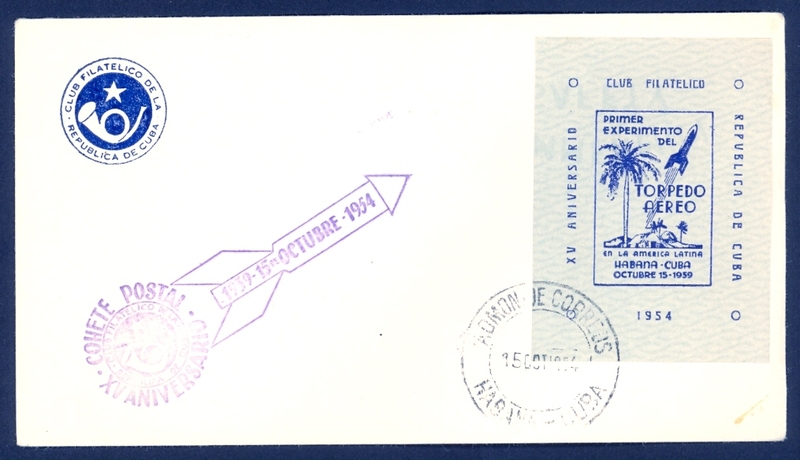 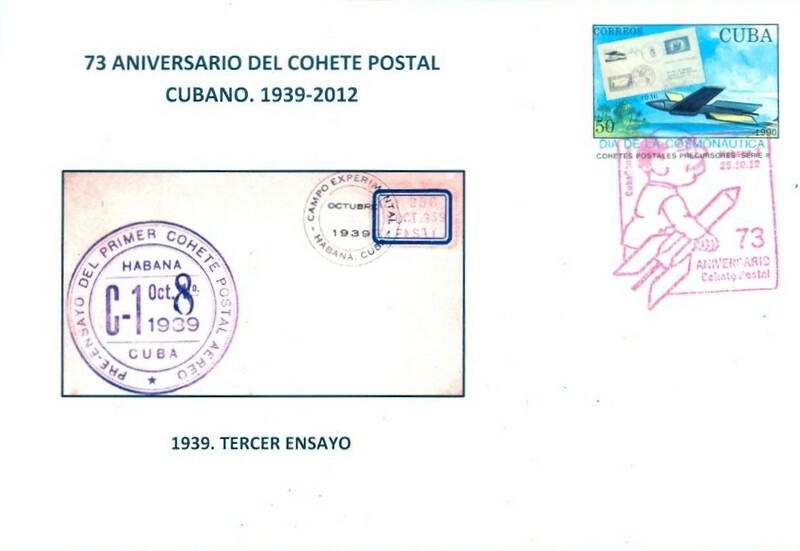 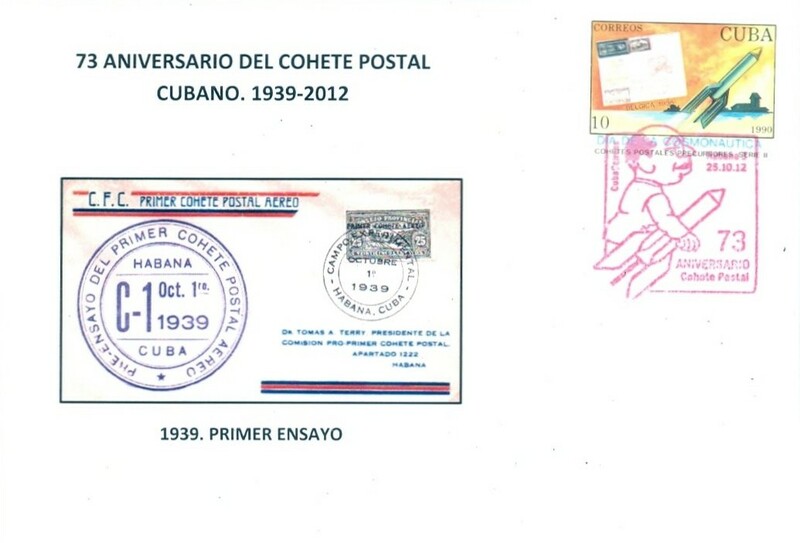 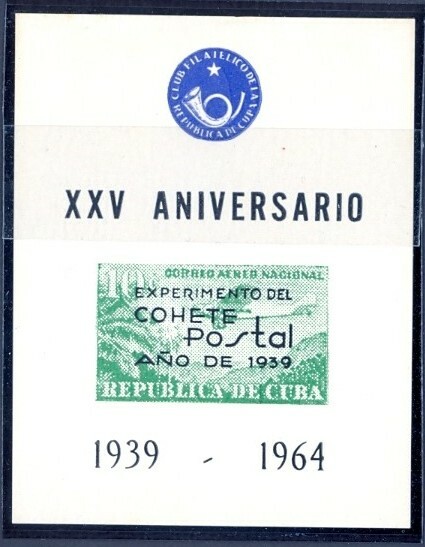 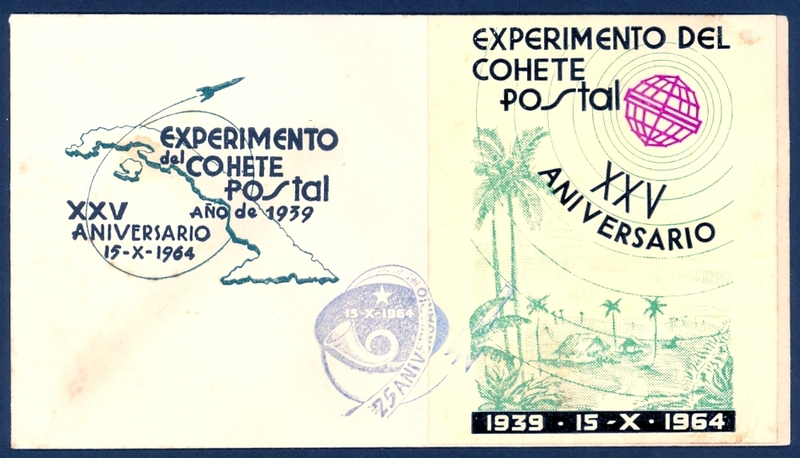 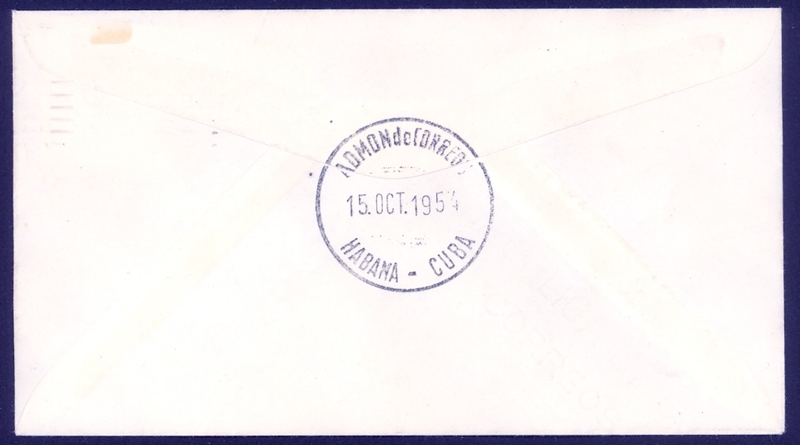 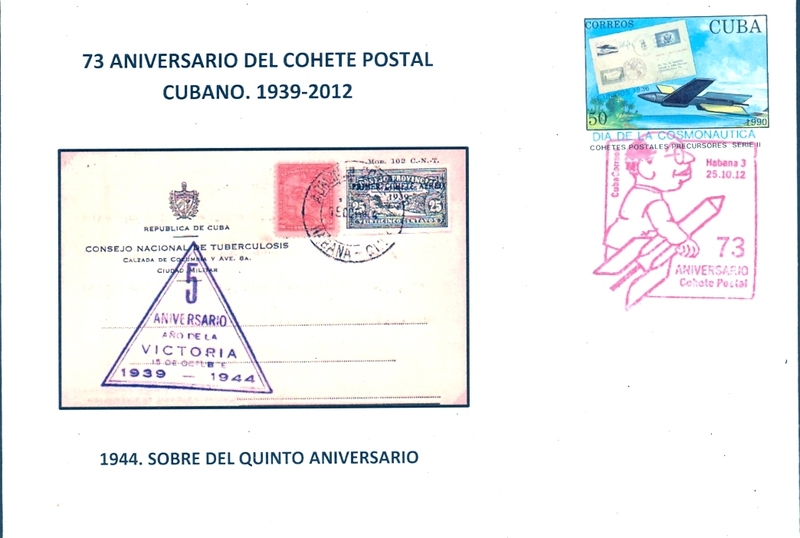 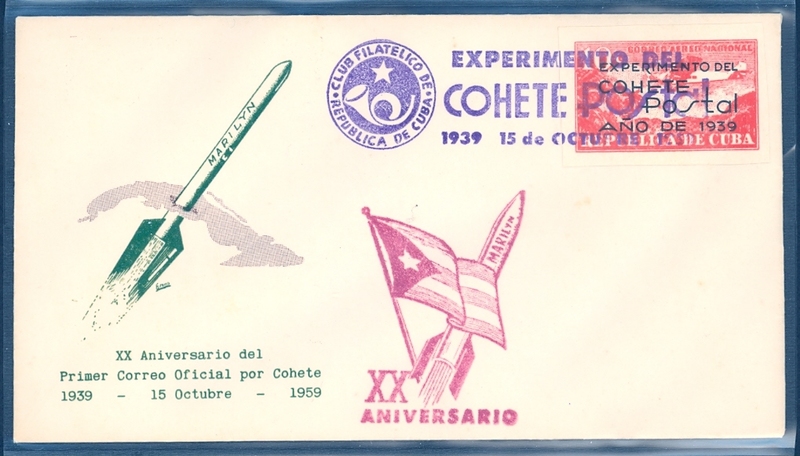 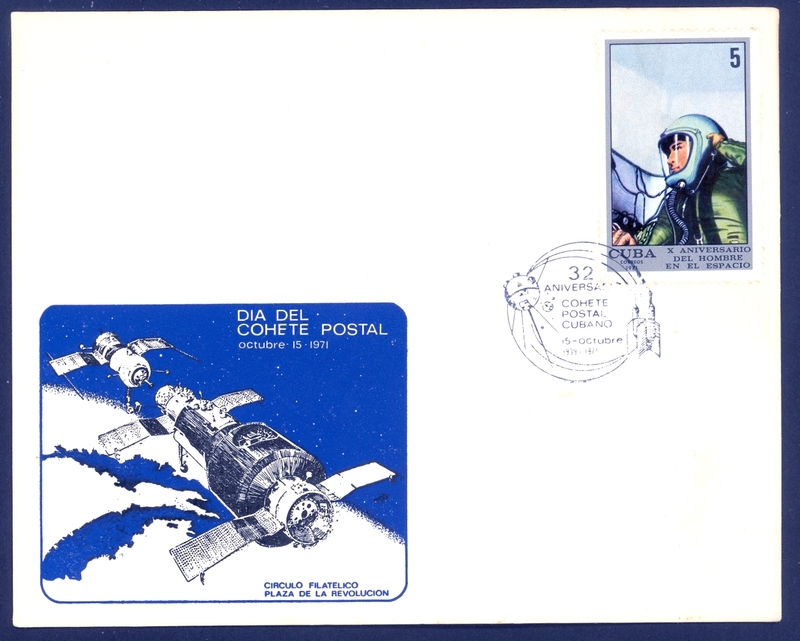 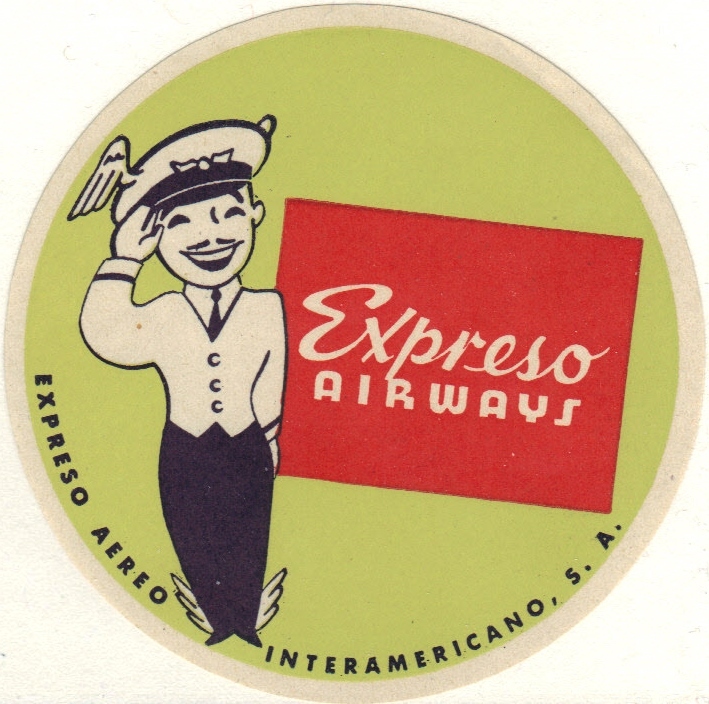 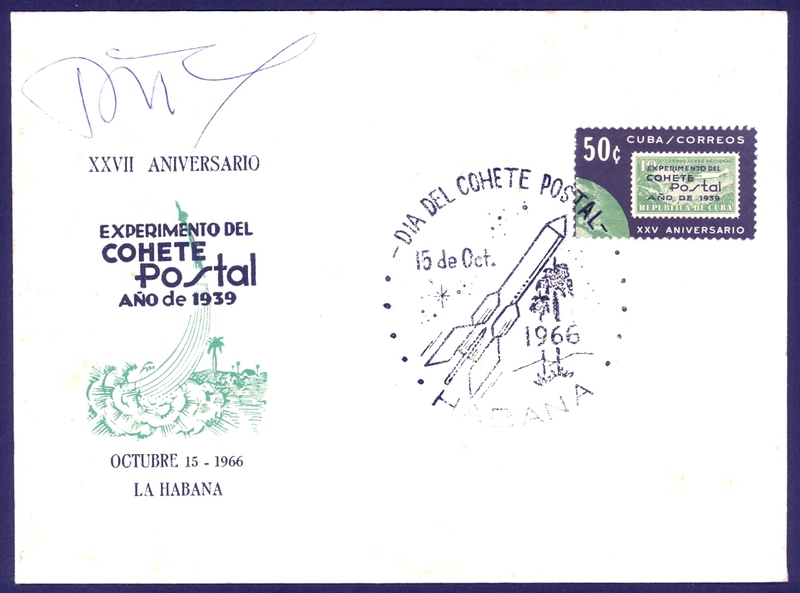 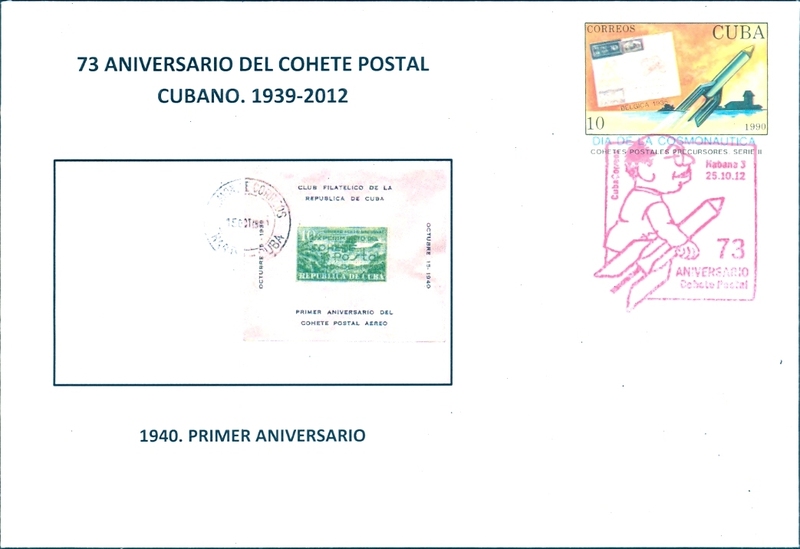 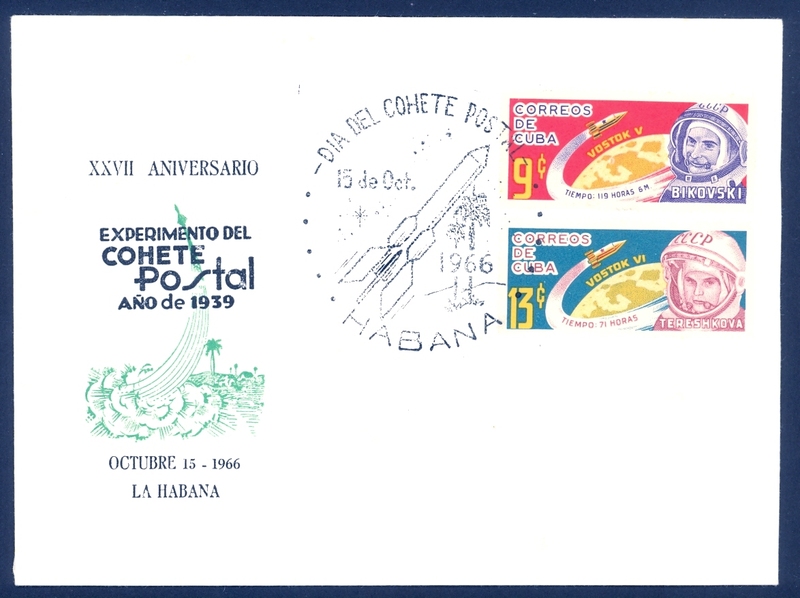 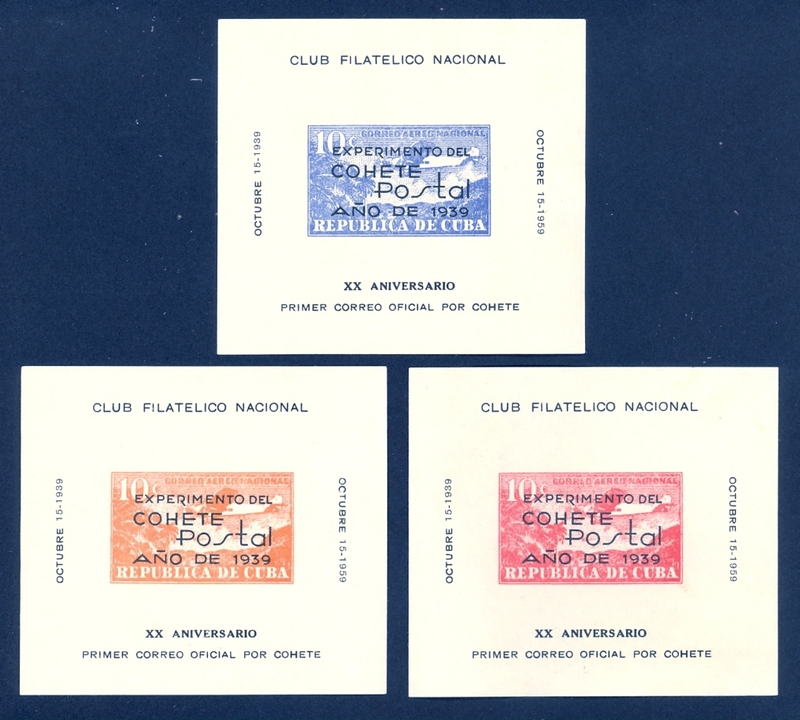 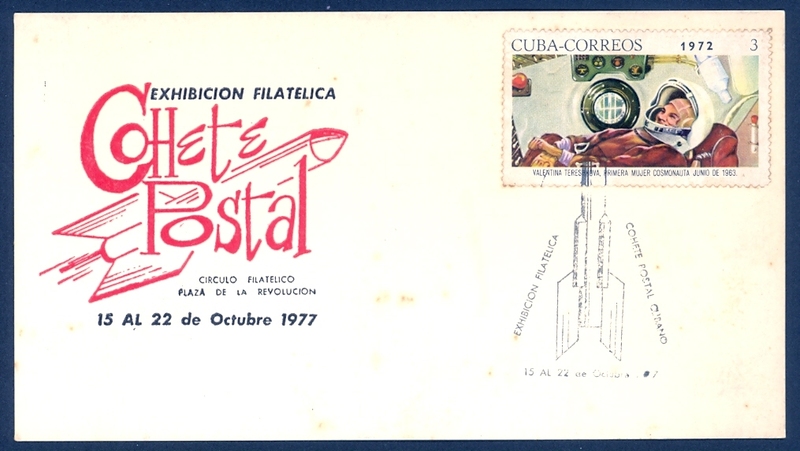 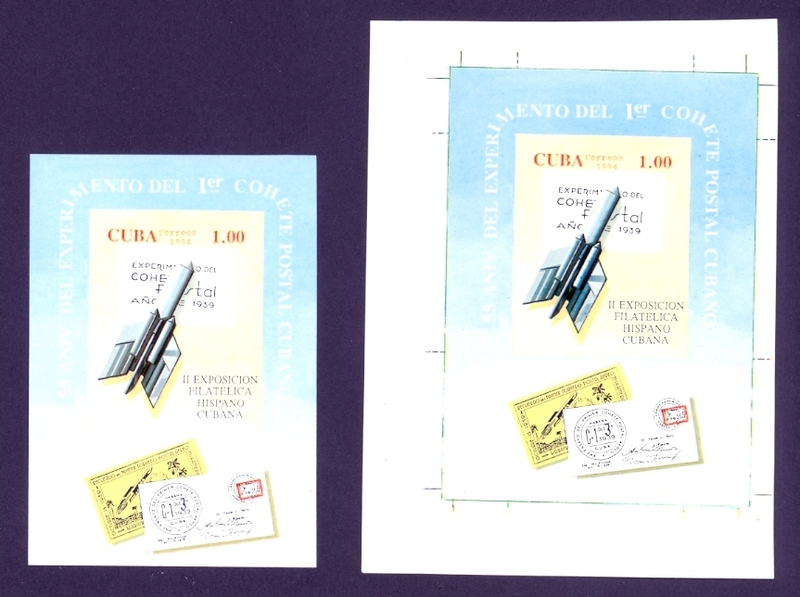 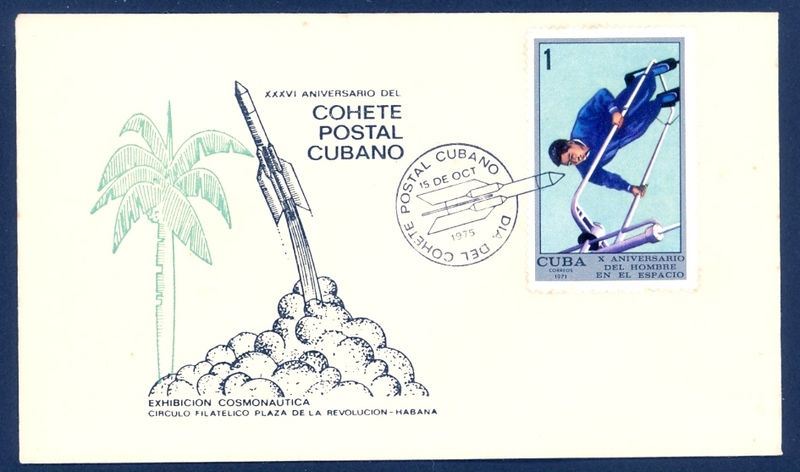 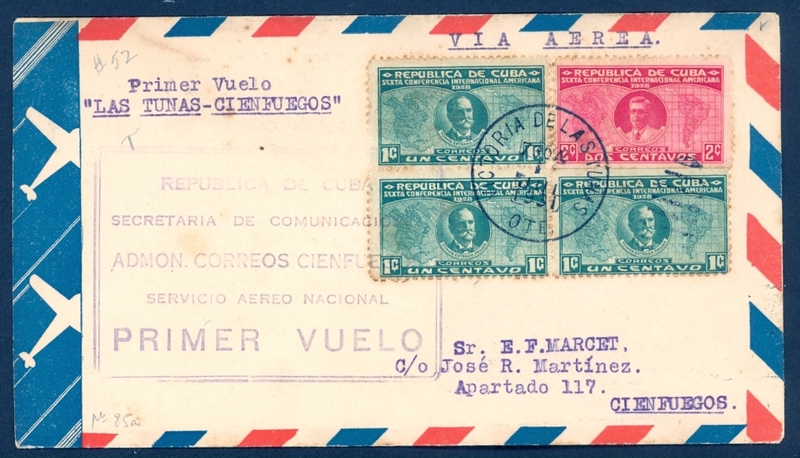 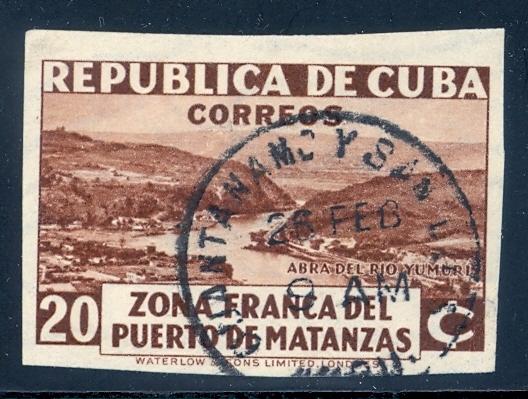 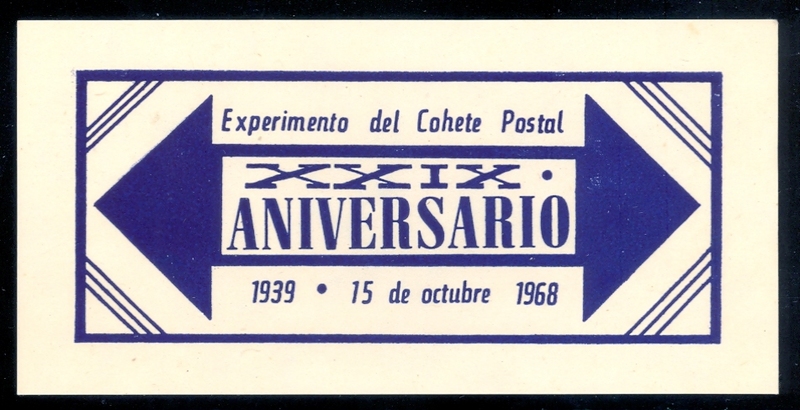 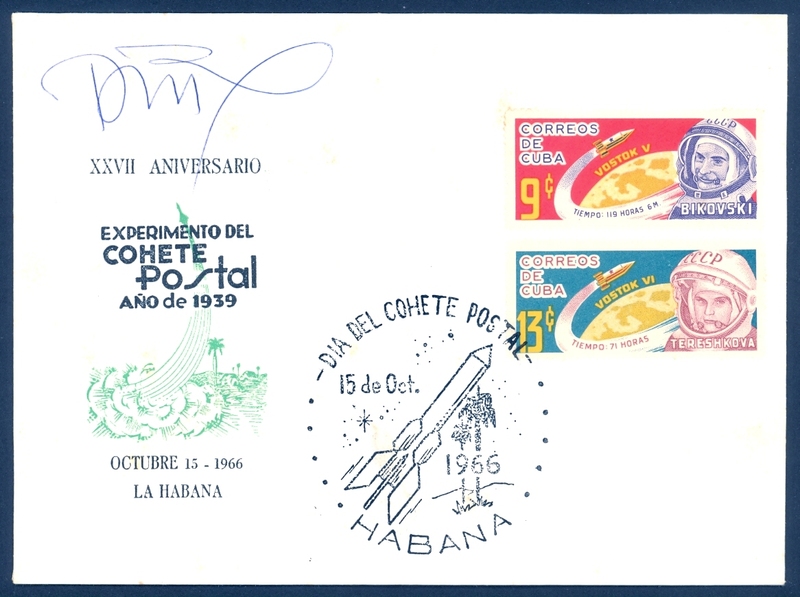 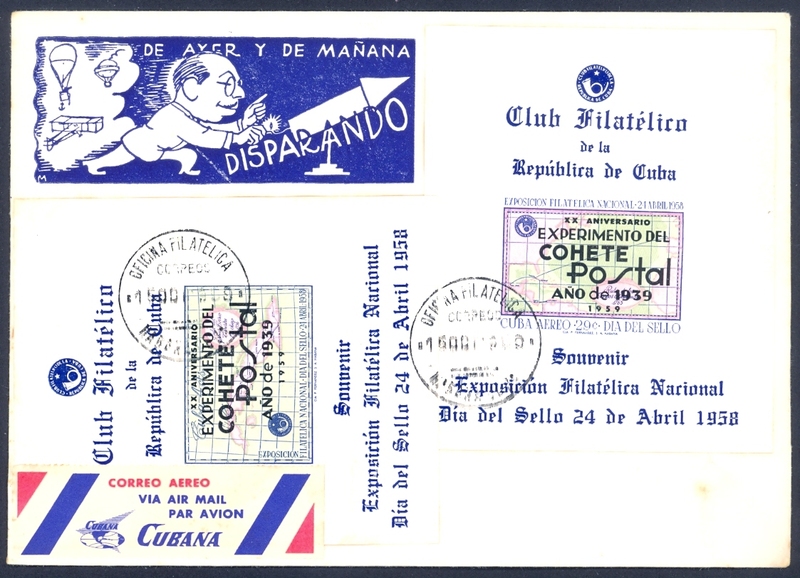 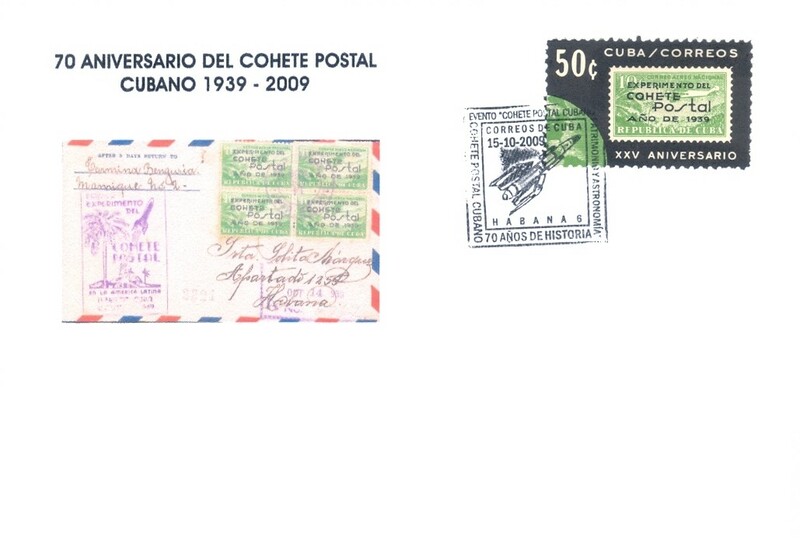 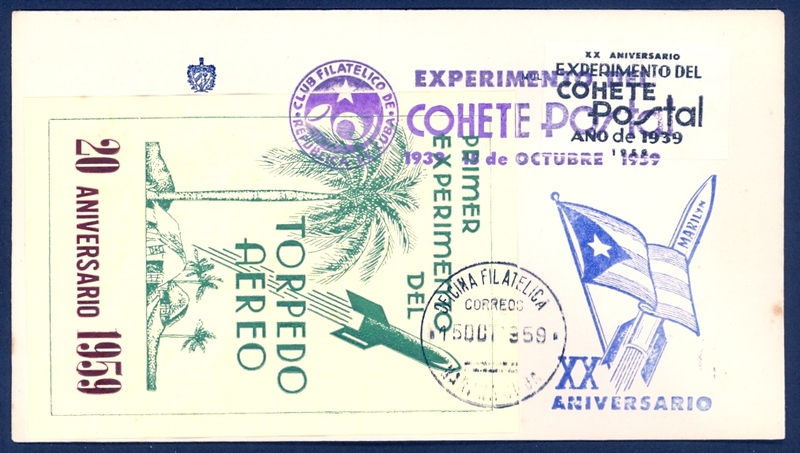 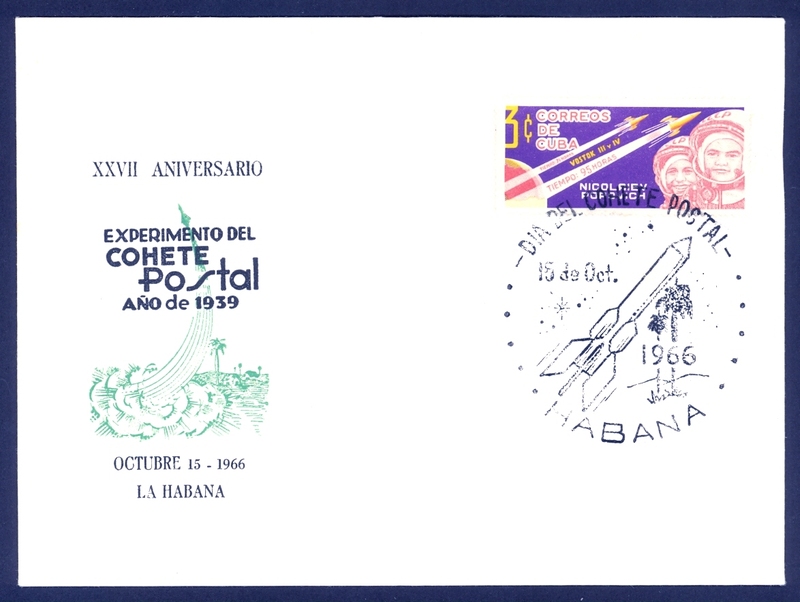 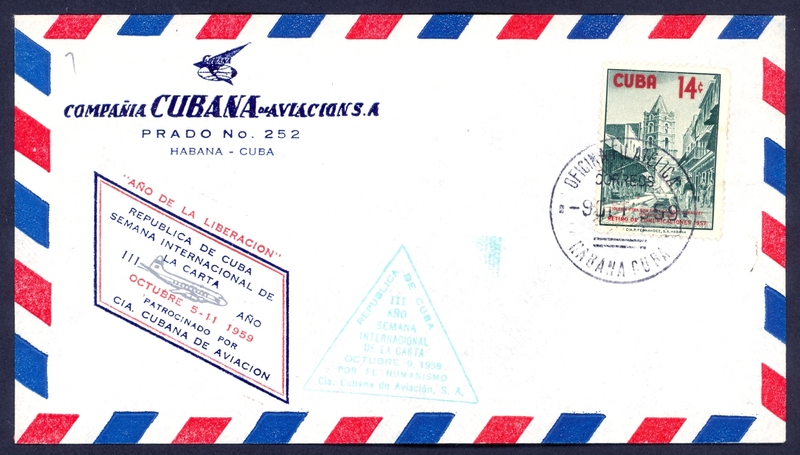 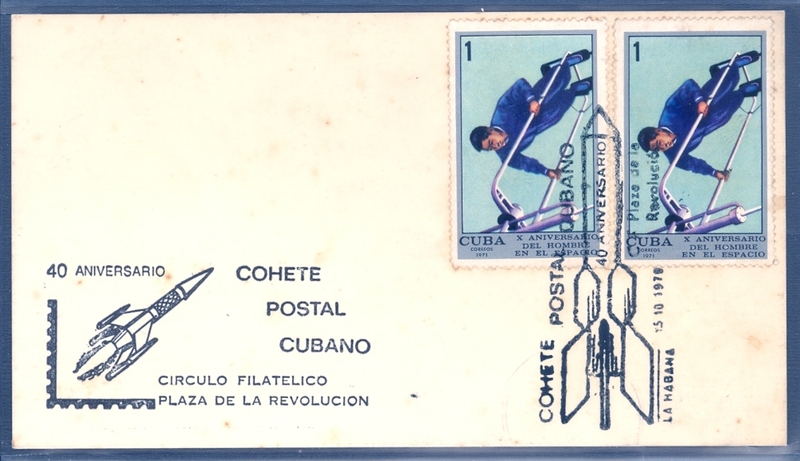 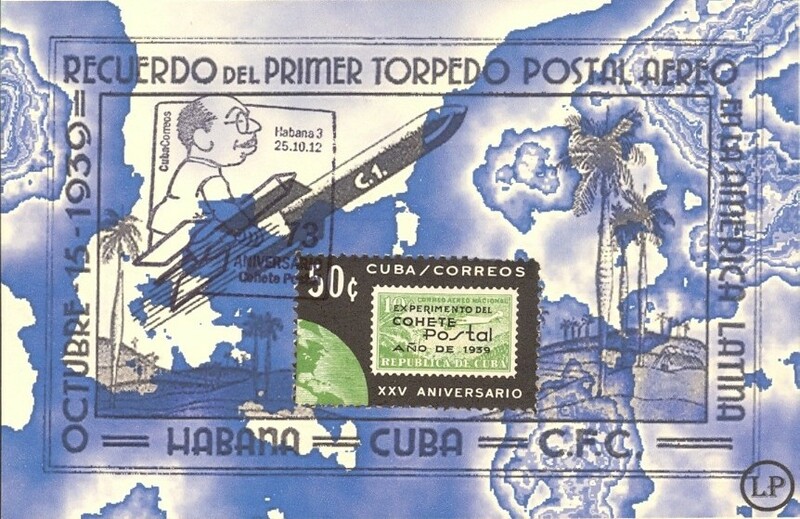 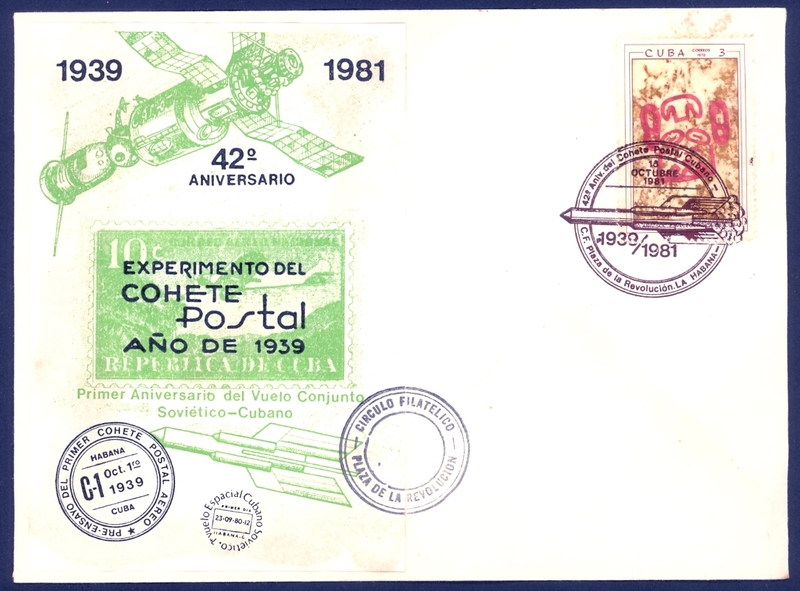 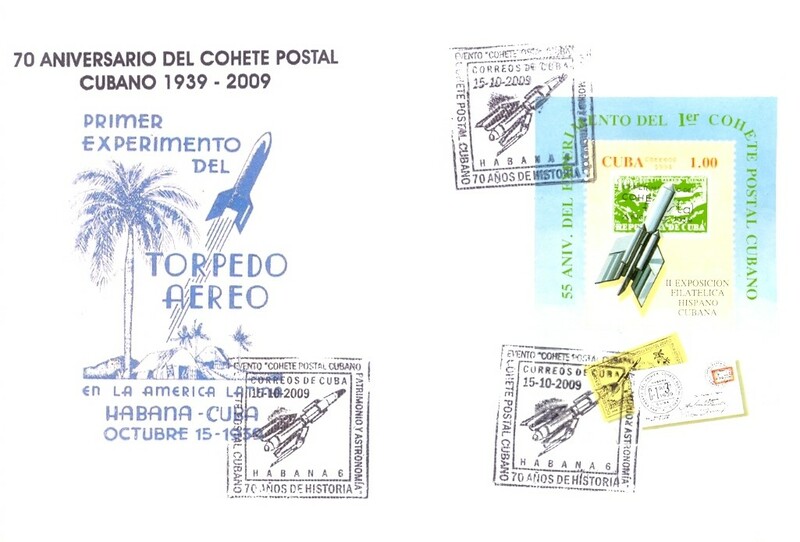 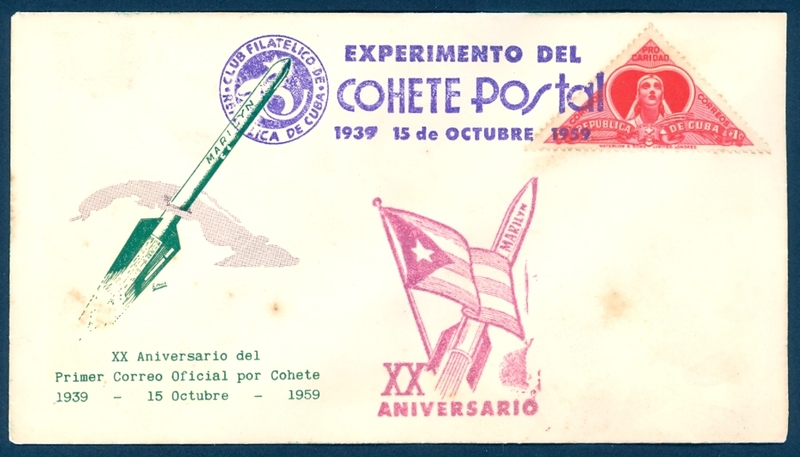 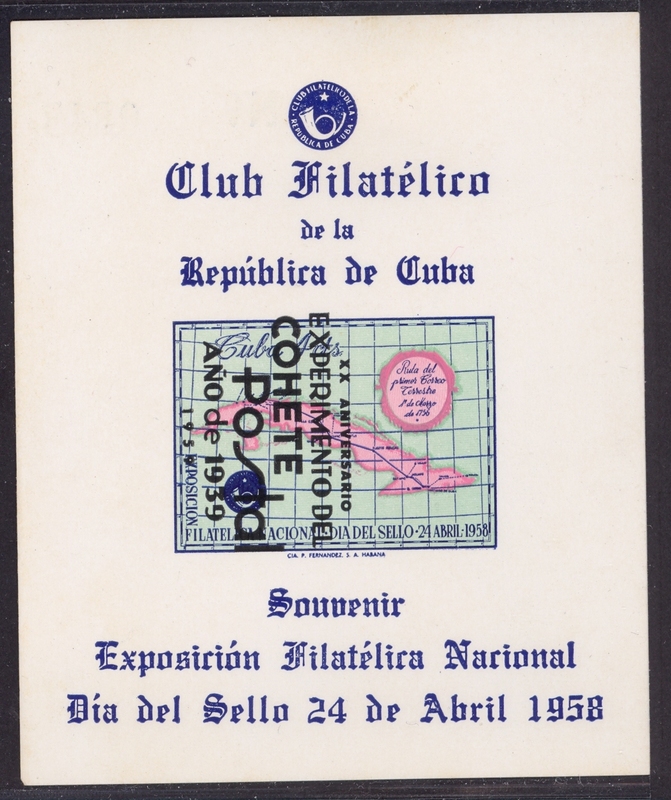 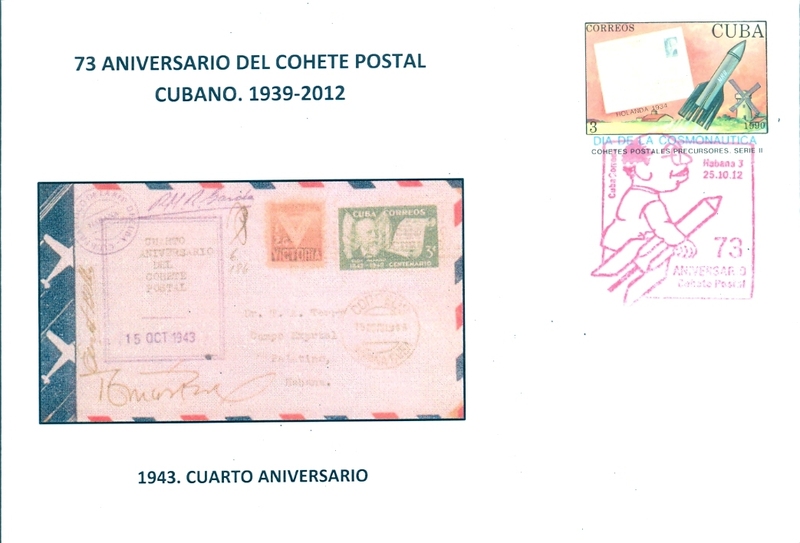 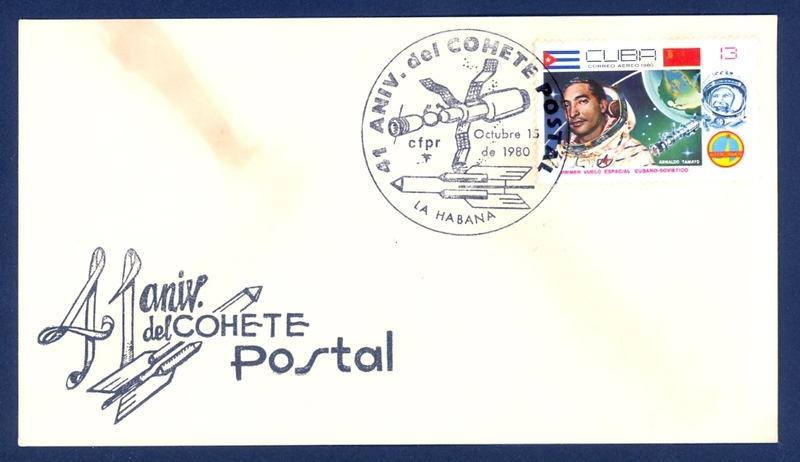 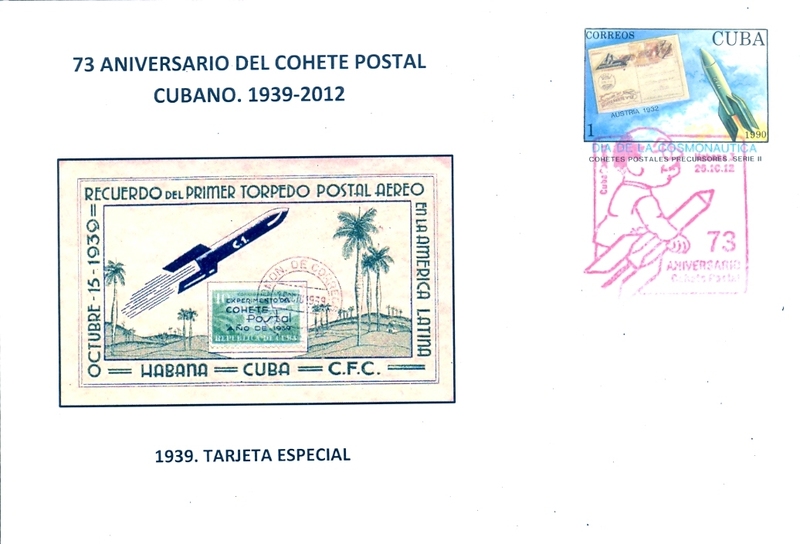 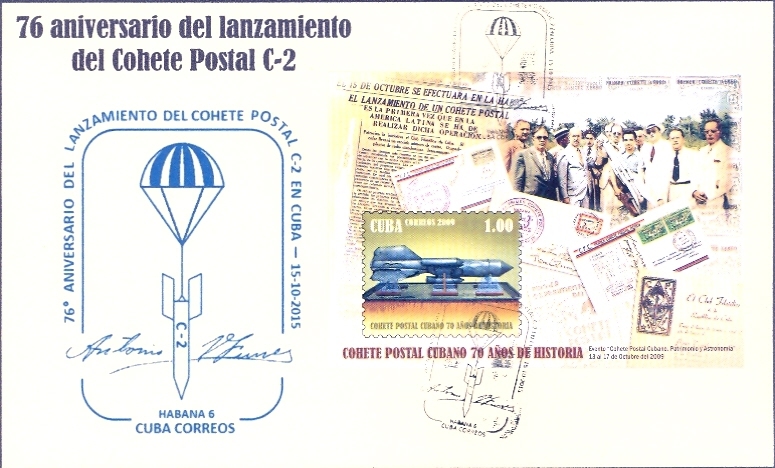 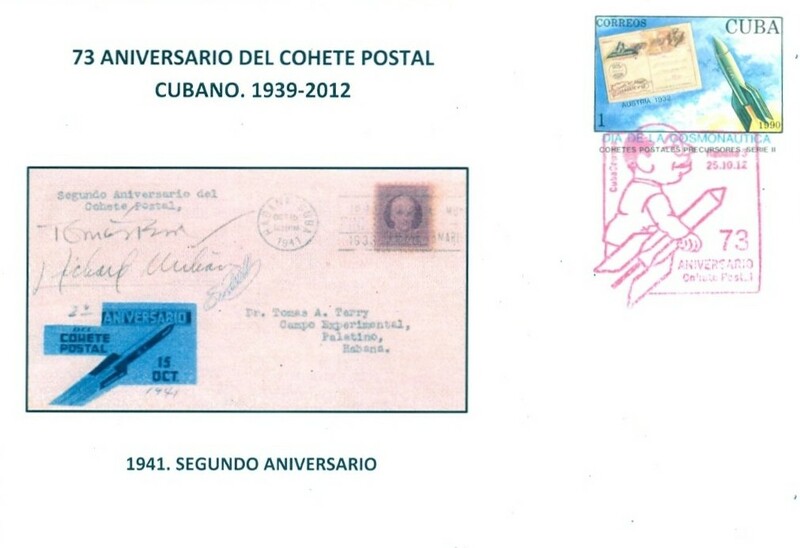 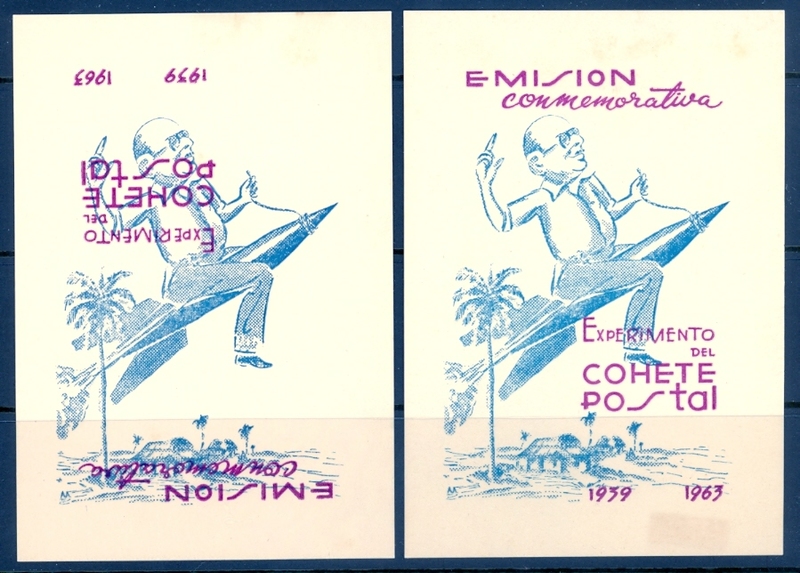 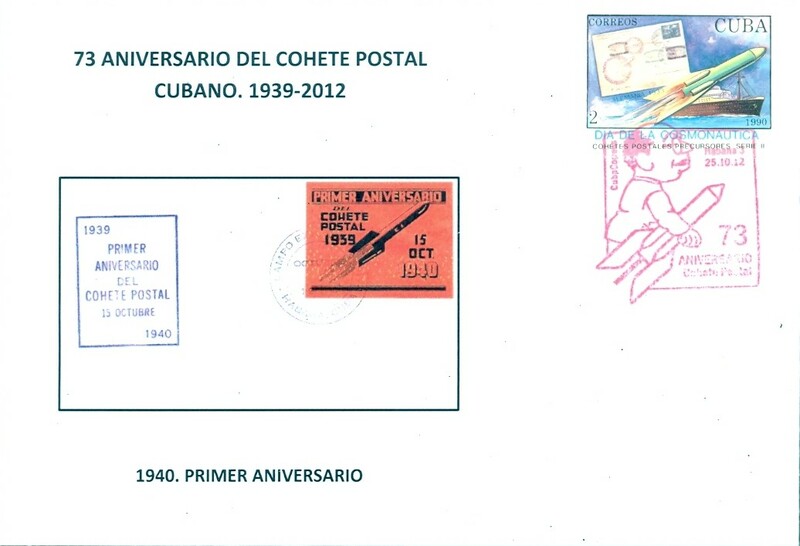 Experimento Cohete Postal Cubano"
1090C Scott 149 Santiago 4 - Ysla de Cuba cds to London. 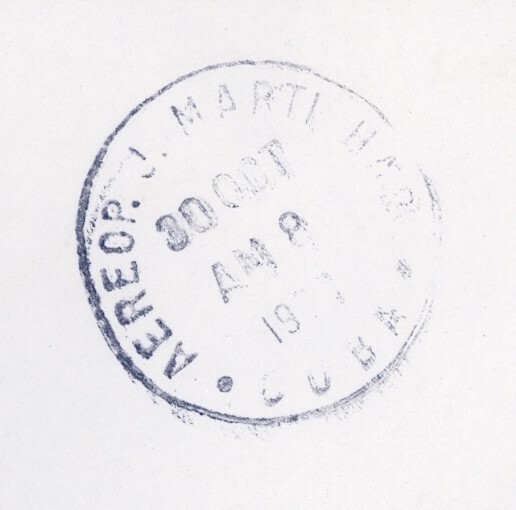 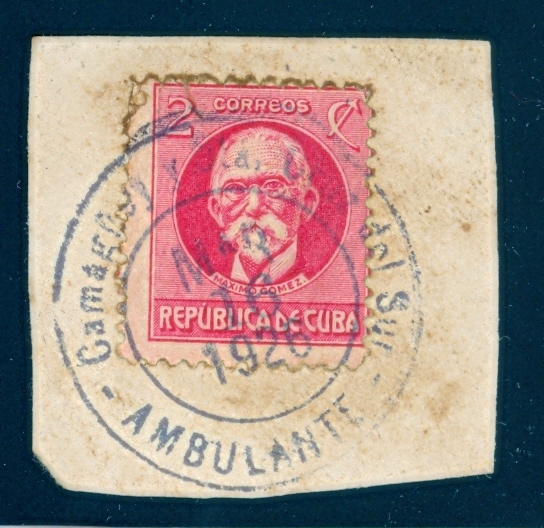 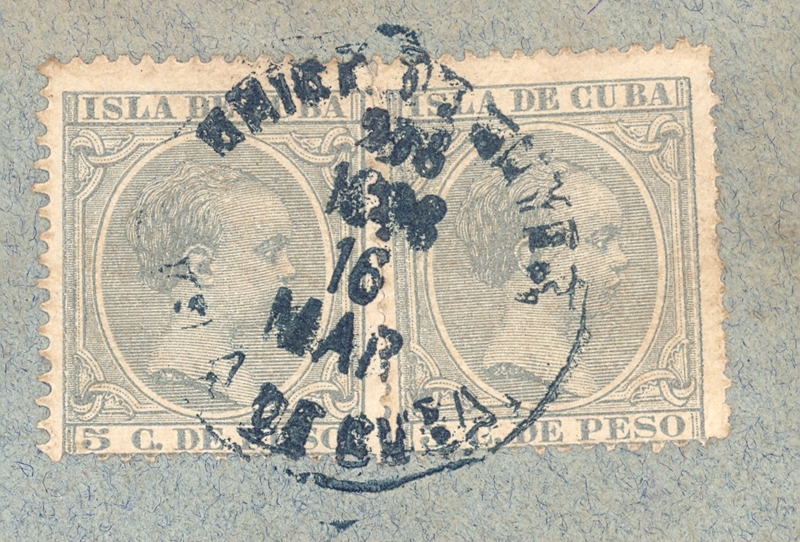 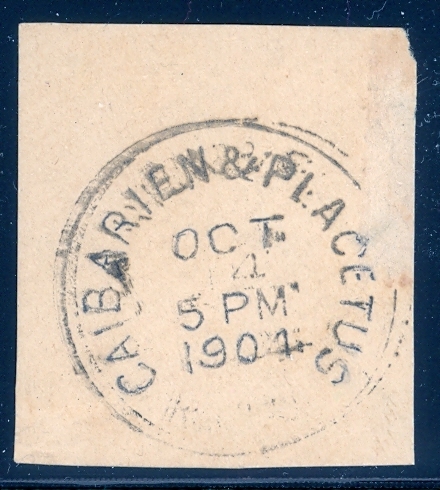 1090D Scott 149 Habana, Cuba.